This trip came up fast! It seems that one moment we were up to our necks in baseball practice, school concerts, and work life, and the next we were landing at the Lima airport. Looking back, I barely remember when we had time to pack! But there we were getting ready to spend two weeks in Peru with kids. Peru is one of those destinations that we had all been dreaming about, but were never quite sure if we could make it happen. And now that we were in this South American country, we were going to make the best of it. When we mentioned traveling to Peru with kids, there were many opinions. From concerns about the food, to the altitude, to the effort. But planning a trip to Peru taught us that Peru family travel has a tremendous number of things to offer. We had all of our Peru packing list sorted and ready to go. And with a two week Peru itinerary ahead of us, we were ready to find out for ourselves! We arrived in Lima, Peru late at night. So we’ll call that day 0. It had been a painless 8-hour flight with a stop in Santiago, Chile. But when we were met at the airport by Kuoda Travel, the company we hired to drive us around Peru, we were exhausted. They brought us straight to our hotel, the Dazzler Lima in Miraflores. The kids were asleep before we even left the parking lot. Unlike many of our trips, we weren’t planning on tackling Peru on our own. There was going to be so much flying and driving long distances, that we opted to hire a tour company for our Peru tours. This would allow us a break between places so that we could get some rest. Otherwise, we would have used an airport transfer app such as Kiwitaxi to get us from the airport to the hotel on a late arrival. After a few hours of sleep, we were met at the hotel by Lima Discover. A small, local tour operator who invited us to join them for our time in and around the capital of Peru. The sun was coming up and the streets were already full of life. Our tour guide for the day, a young Venezuelan named Alberto was eager to get us started on a full day around Lima Peru for kids. First up on our Peru travel itinerary was the Corillos district on the Pacific coast. Our eyes were already open. The coastline is beautiful! 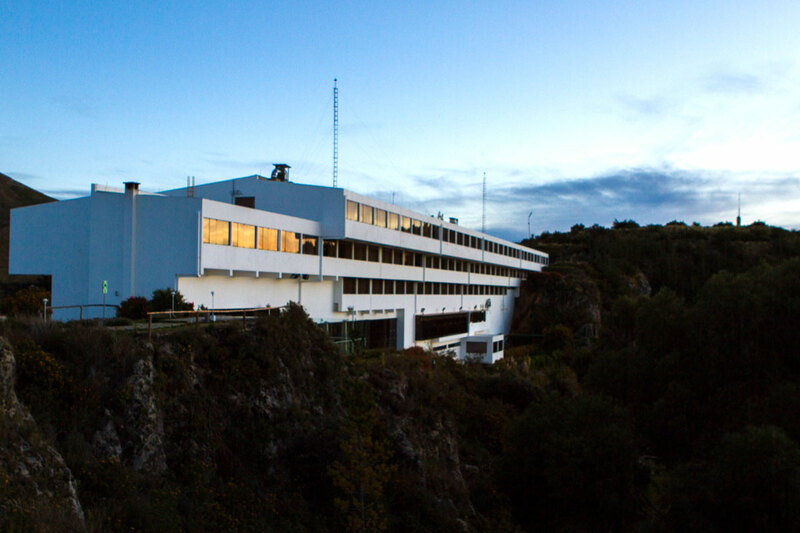 Corillos includes amazing views of the city from the rocky mountains, an observatory and several statues commemorating the history of the country. Also, the area is dotted with picturesque restaurants and is a favorite among local fishers. After exploring Corillos, we made our way to downtown Lima. 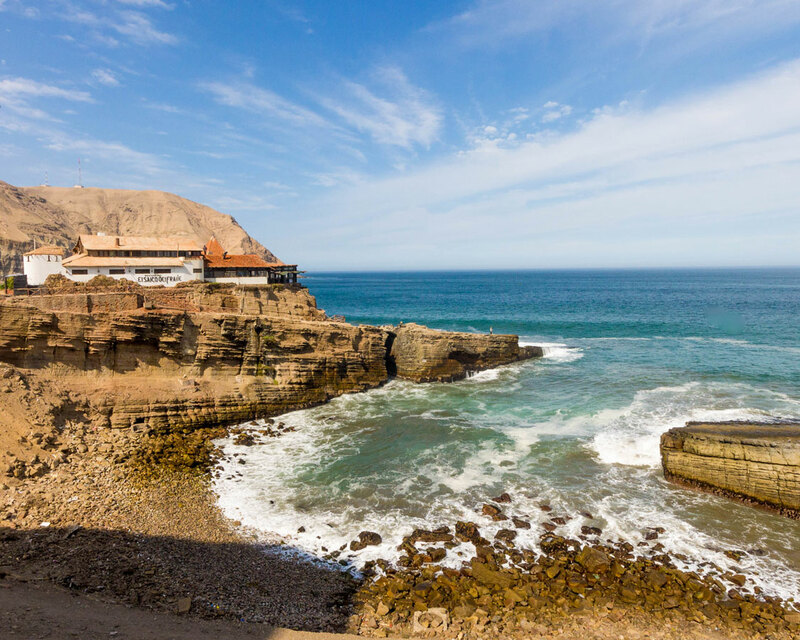 Compared to the relaxed, rocky brown coast of Lima, downtown Lima is vibrant, bright and full of life. As we ate our lunch, we watched local bands play in the streets while everyone from seniors to children joined in to dance in the street. It was an amazing place to spend time in Peru with kids. 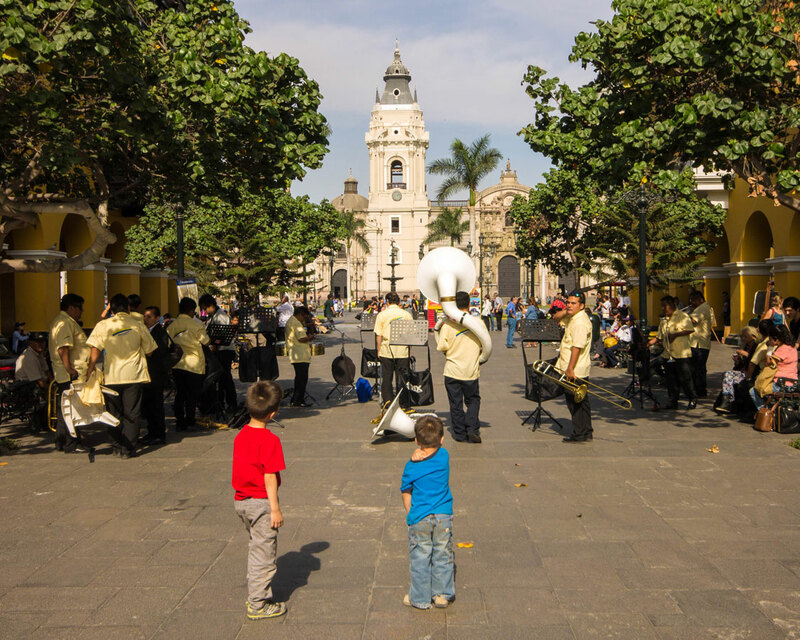 When we asked our guide what to do in Lima Peru with kids, we were surprised at his next suggestion. 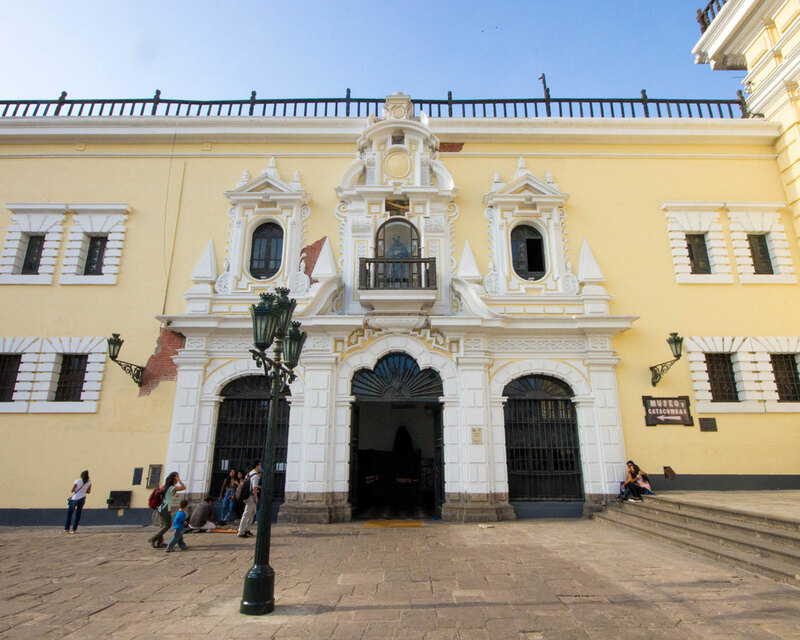 After lunch, we walked through the busy streets of Lima to the Monastery of San Francisco. This is one of the most famous catacombs in Peru. C was nervous. D was excited! There are no photos allowed in the San Francisco Monastery in Lima. Which is a shame considering it’s one of the top Peru tourist attractions. But the tour includes the art-laden hallways, as well as the intricately adorned (with human bones) lower catacombs. 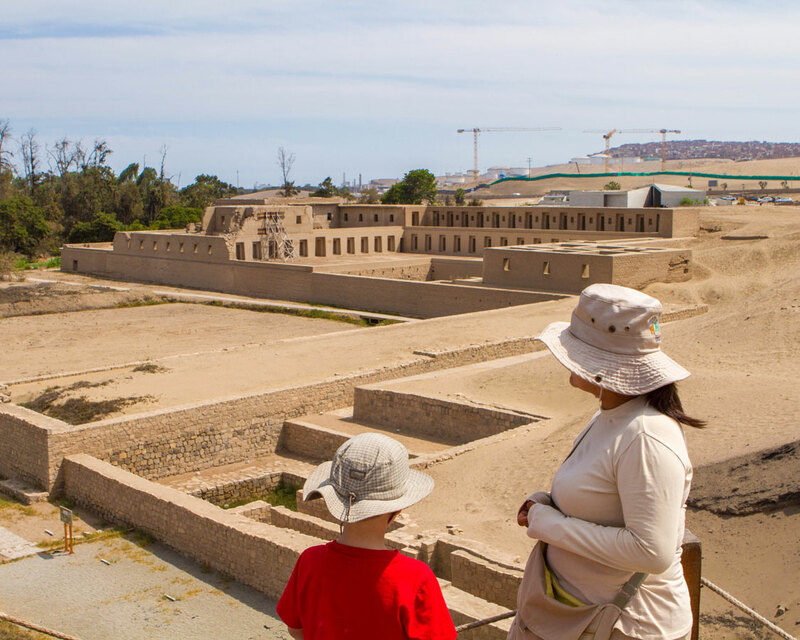 Next, we made the 1-hour journey to the Archaeological Sanctuary of Pachacamac, Peru. Here we wandered the archaeological site near the city of Pachacamac. The ruins date back to 200 A.D. And to go along with our visit to the catacombs, the site is still littered with human bones. Although under the bright blue skies, we were more worried about the boys trying to pick them up, than being afraid of them. After Pachacamac, we returned to our hotel. We were exhausted. And we knew the next day would be an early one. So we ate at the hotel and tucked the kids in. 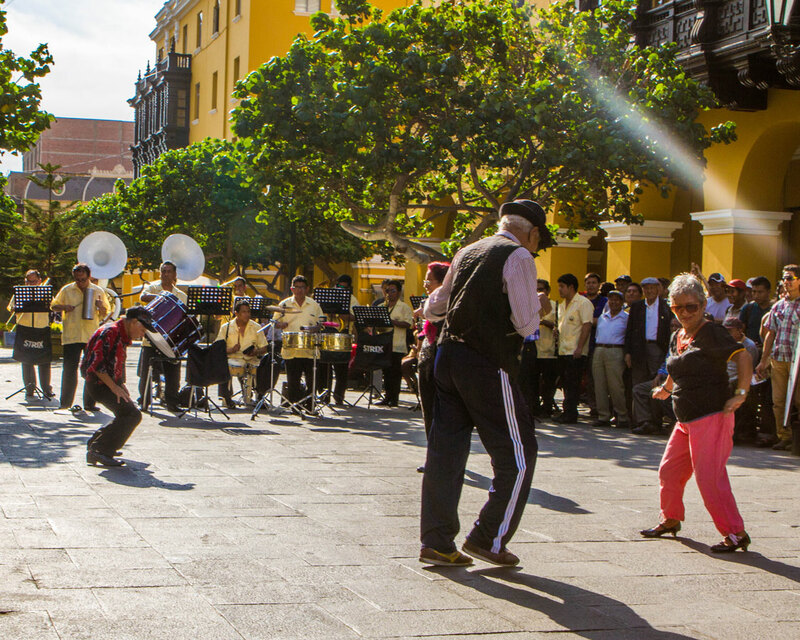 Read all about How to Spend 24 Hours in Lima here. 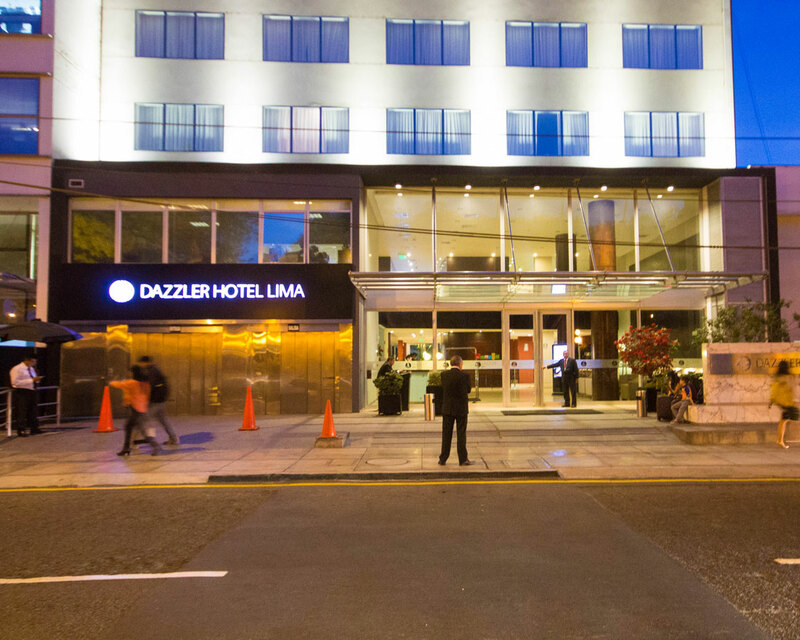 We opted to stay at the Dazzler Lima in Miraflores district. It was in a hip, vibrant neighborhood and was situated near lots of great restaurants and attractions. Check out the prices and availability of the Dazzler Lima here. We woke early. 4:30 A.M. to be exact. Alberto was waiting for us outside the hotel. We loaded the still sleeping boys into the van and began making our way out towards Ica, Peru. Along the way, we would be stopping at the Paracas Nature Reserve. With no traffic in the morning, we made the trip in less than the expected 3-and-a-half hours. So we had some time to eat some breakfast on the boardwalk of Paracas Peru before boarding a boat tour to explore the reserve and nearby Islas Ballestas National Reserve. We had a chance to see penguins, sea lions, and lots and lots of birds. Additionally, we also had a great view of the famous Paracas Candelabra, a 2,000-year-old geoglyph on the coast. 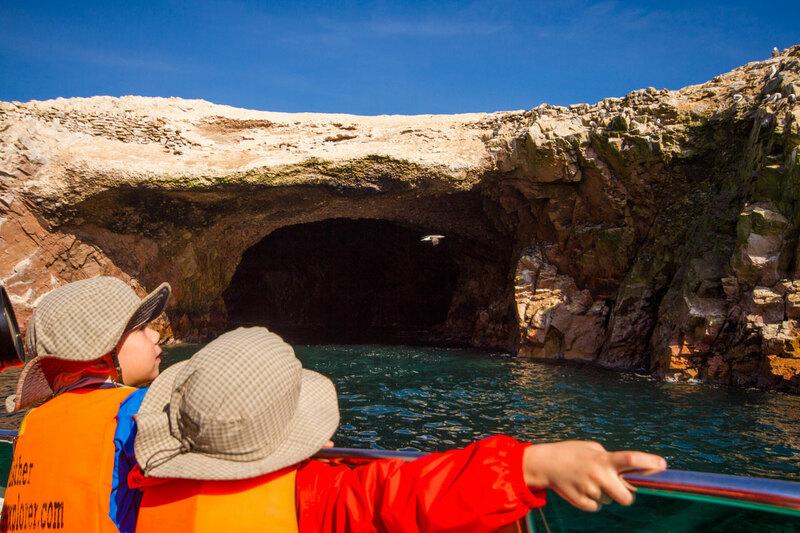 You can read more about our experience at the Paracas Nature Reserve here. After we returned to shore, we loaded back in the van and made our way to the desert oasis town of Huacachina, Peru. This event proved to be one of the most adrenaline-filled on our entire trip. We rode monster dune buggies through sand dunes that stand hundreds of feet tall. If that wasn’t enough, we all rocketed down the dunes on sandboards! D loved it so much that I think he may have a career in extreme sports ahead of him. These adventures are something I would recommend highly in Peru for kids. After all that excitement, we wound down by taking a rowboat around the lagoon for a short while before heading on to Pisco. 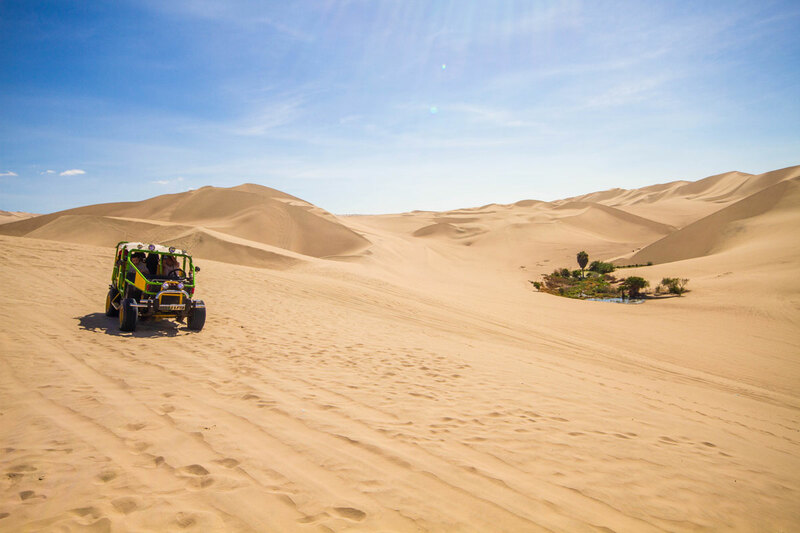 Have a look at our dune buggy and sandboarding adventure in Huacachina here. Our next adventure we stopped in the nearby town of Pisco, Peru for lunch. 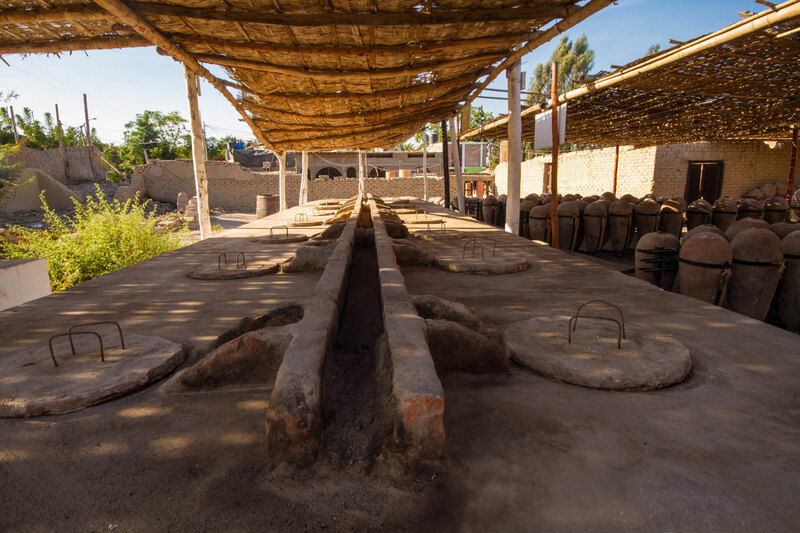 Pisco is home to the famous Peruvian drink the Pisco Sour. We ate lunch at El Catador restaurant and vineyard. After ordering, we had time to tour the winery and learn about the process of making Pisco Sours. Getting a chance to taste the different varieties of Pisco was a real treat. After visiting Pisco, we made our way back to Lima and again, relaxed at our hotel and let the boys catch up on their rest. The next morning we woke and began our trip to Cusco. We ate breakfast at the Lima Airport before catching our flight to Cusco. When we arrived in Cusco, our van was waiting and they quickly ushered us out of town so that we would have a chance to adjust to the altitude in the much lower Sacred Valley of Peru. Our first stop on the Sacred Valley tour was the Salt Pans near the town of Maras. The Maras Salt Pans are where the Inca mined salt that seeped from the nearby mountains. And it is still mined in almost the same way 2,000 years later. 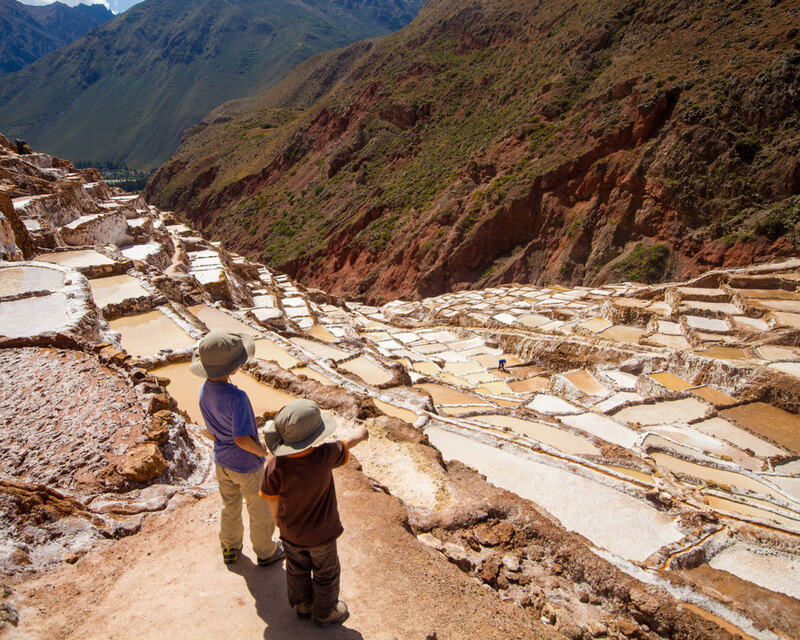 The Salt Pans of Maras also makes for one of the coolest views in the Sacred Valley. From Maras, we made our way through the villages to the agricultural terraces of Moray. These ancient plantation fields were part of the reason that the Inca were such successful farmers, especially high up in the Andes mountains. 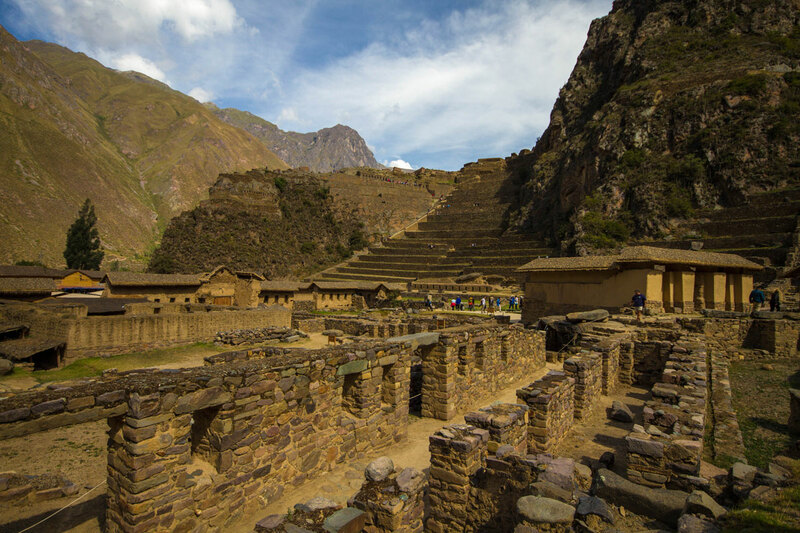 We learned a lot about Incan history from these Peru tours. Read more about our experiences at Maras and Moray here. After the incredible views of Moray, we stopped in the town of Maras for some lunch. The small town was spectacular and offered an incredible glimpse into life in rural Peru. 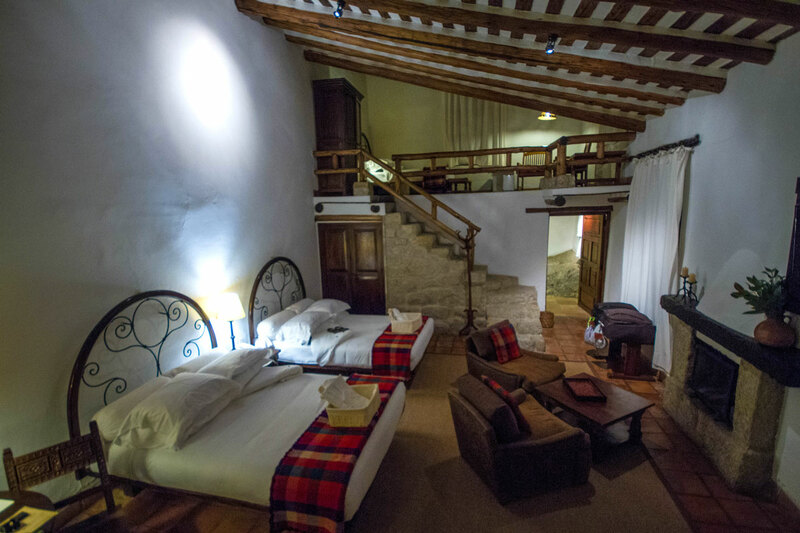 During our time in the Sacred Valley, we chose to stay at the Casa Andina Private Collection Sacred Valley. This hotel in the town of Yucay has beautiful grounds, an excellent playground for children, and an on-site observatory. They also rent chalet-style accommodations that include outdoor stone showers. Check out their prices and availability here. The next morning we had a chance to sleep in and have a relaxing breakfast. But we wouldn’t relax for long before heading deeper into the Sacred Valley for another day of adventure. 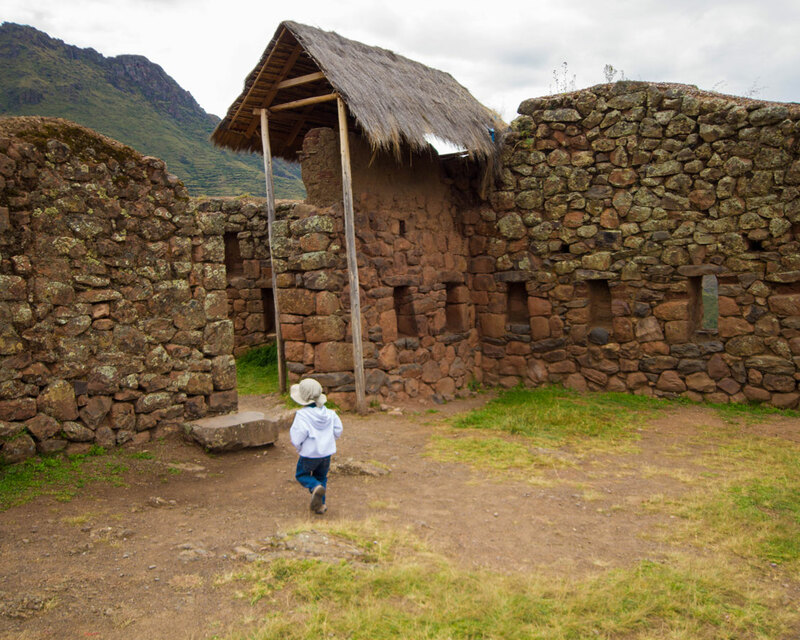 Our first stop was the Pisac Archaeological Park. The entrance to these Incan ruins was full of Peru tour buses. But once we entered the ruins there was lots of room to explore. The ruins are along the edge of a gorge and offer breathtaking views. You can read about our visit to the Sacred Valley of Peru here. From Pisac ruins, we headed to Pisac town. 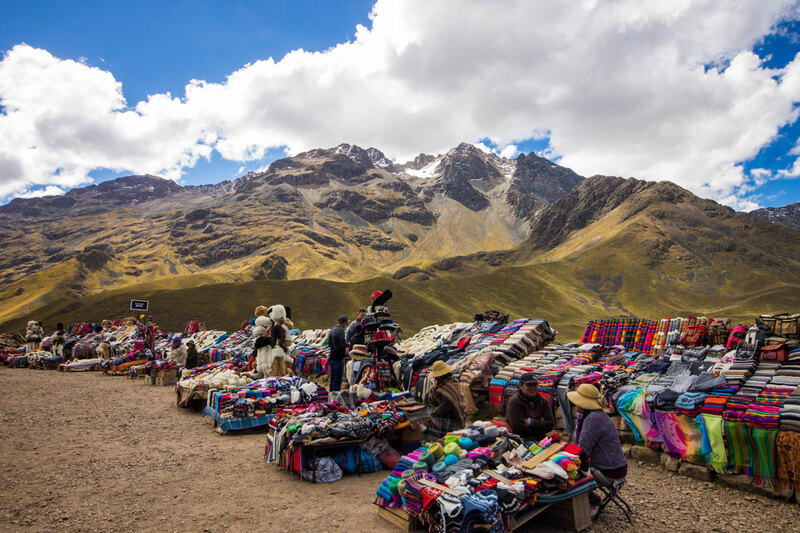 Pisac hosts one of the most famous markets in Peru. And on Sundays (which we made sure to be there for), the Pisac market includes the local Quechua farmers market. 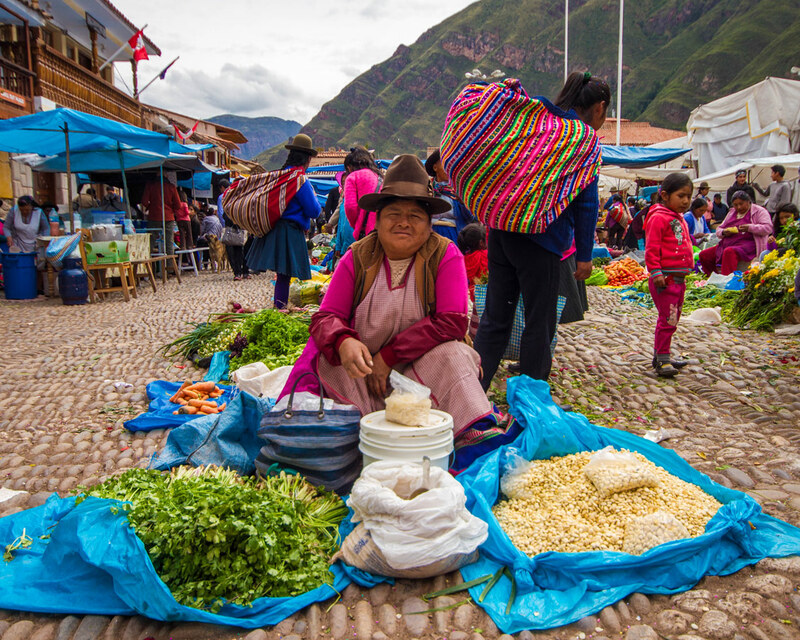 Peruvian farmers have been selling goods at the Pisac market since the time of the Inca. Today, the market continues to be a great place to engage with locals. For lunch, we stopped in the town of Yucay for some delicious local cuisine. 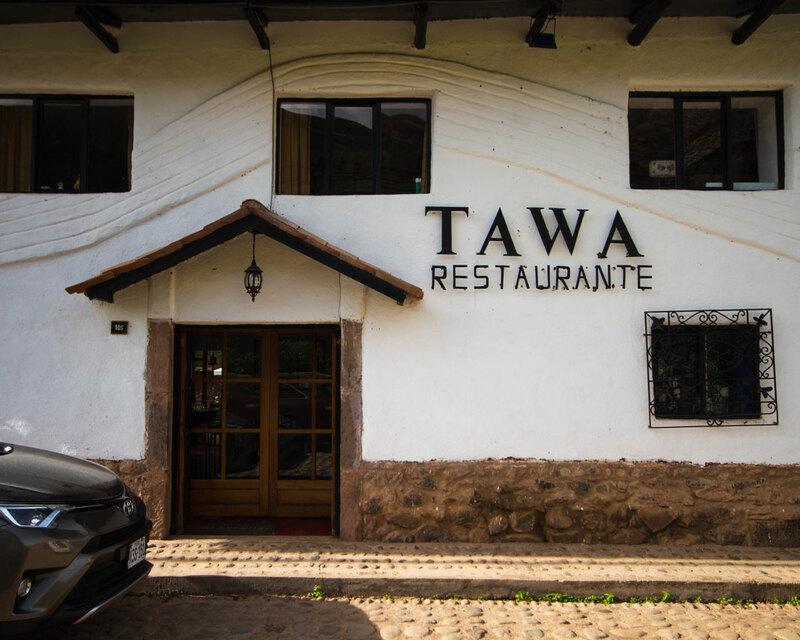 Like many of the small-town eateries in Peru, Tawa restaurant doubles as the home for the owners. We had great food and fun conversation. With our bellies full, we made our way to the artist town of Urubamba. 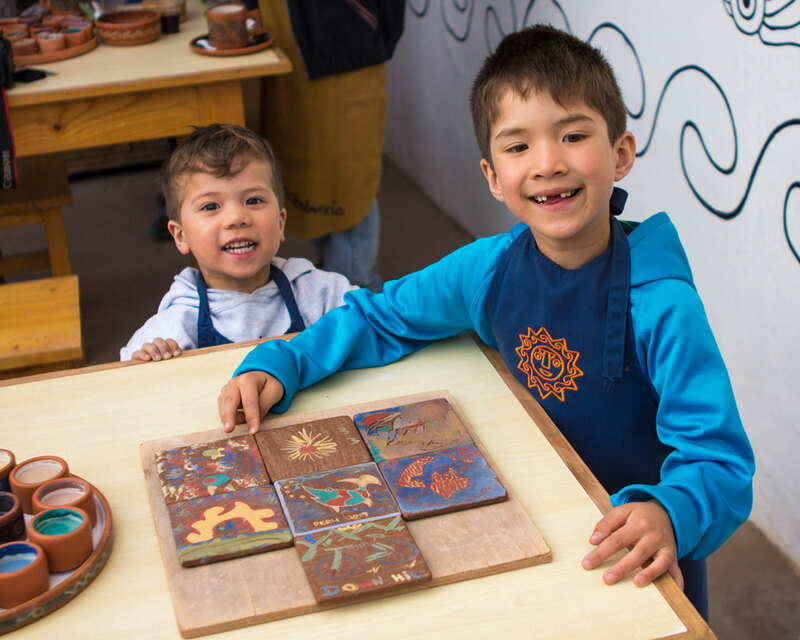 Here we learned about making Peruvian pottery at the home of one of Peru’s most famous artisans, Pablo Seminario. Our experience at Ceramica Seminario was amazing. And it was so full of laughs that by the end of our visit everyone at the studio, including Pablo and his wife Marilú Behar, had joined in the revelry. This is a great activity in Peru for kids and the rest of the family. Read more about our pottery experience at Ceramica Seminario here. 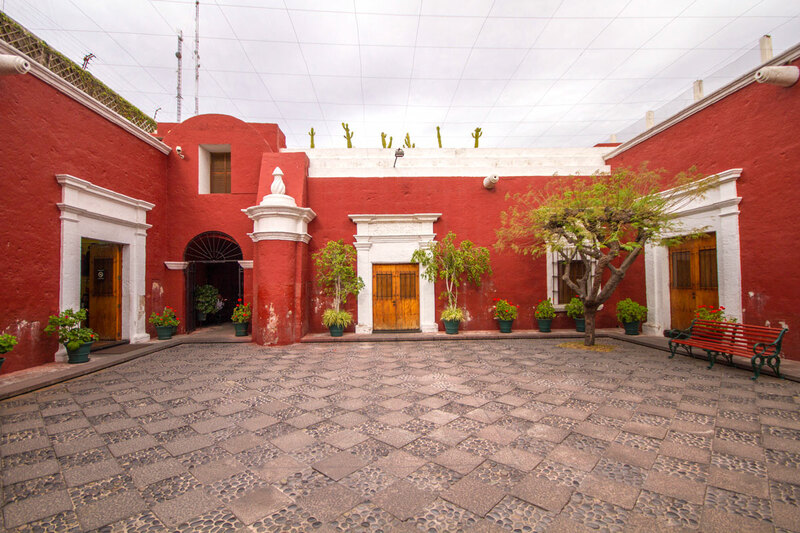 After finishing our pottery we made our way back to the Casa Andina hotel. 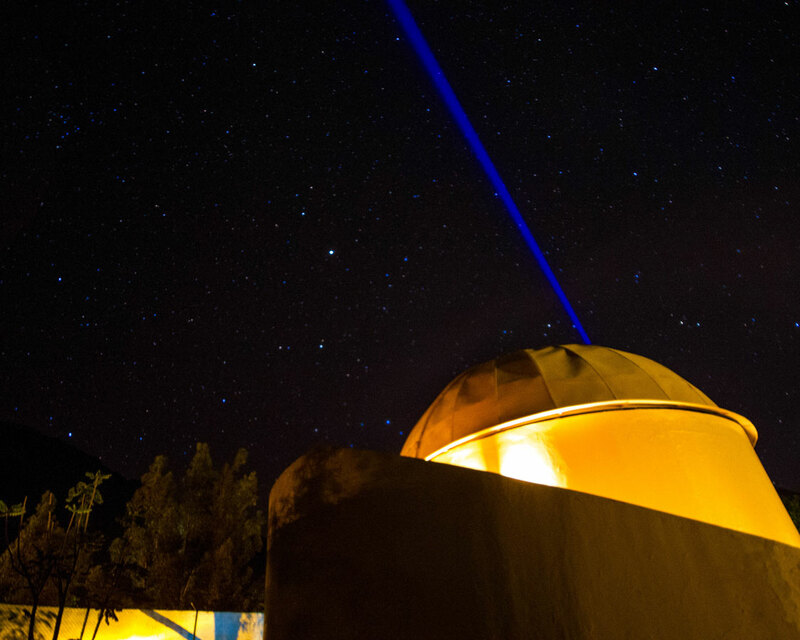 What makes Casa Andina Sacred Valley unique, beyond the beautiful grounds, is that they have an on-site observatory. Tours are available most nights. C and D were super excited for an opportunity to glimpse Saturn and study some of the differences between the Northern and Southern Hemispheres. The observatory experience at Casa Andina was educational and fun. It’s one of the best things to do in Peru for children. 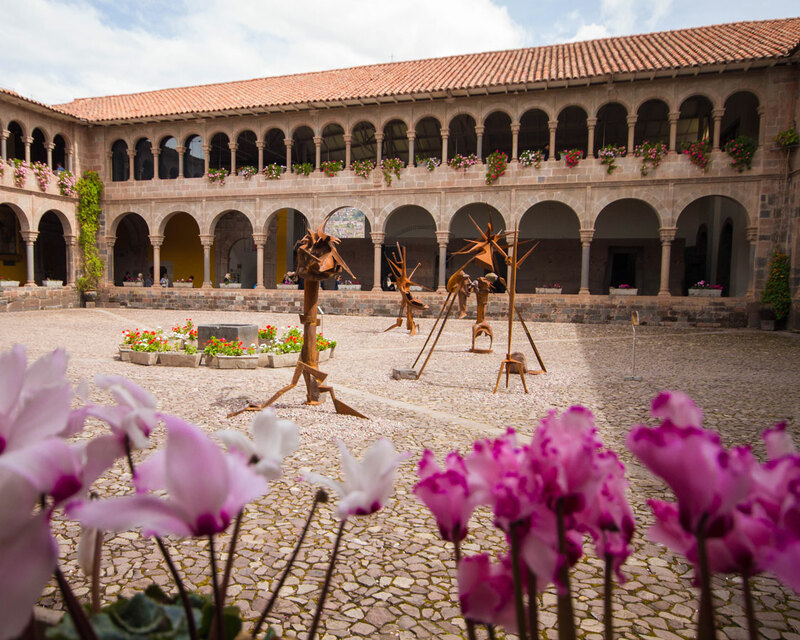 Check out all the fun we had at Casa Andina Private Collection Sacred Valley Peru here. We rose early the next morning to fit in the ruins of Ollantaytambo at the far end of the Sacred Valley. We spent some time exploring the ruins and learning how it was the site of one of the few victories that the Inca had over the invading Conquistadors. The grounds were beautiful and full of fountains, streams, and aqueducts. 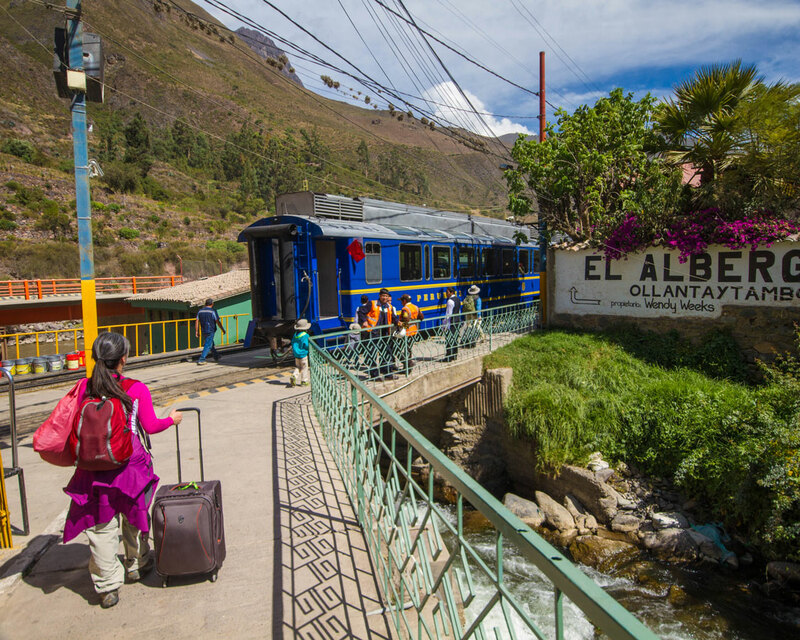 Ollantaytambo is also home to Ollantaytambo station, the last Peru Rail train stop before reaching Machu Picchu Pueblo. We boarded our Peru Rail train to Machu Picchu here. The ride was fantastic and offered incredible views from start to finish. Even the start of the famous Inca Trail to Machu Picchu is visible about halfway through the hour and 40-minute train ride. For those not wanting to take the backpacking route through Peru, the train is one of the top things to do in Peru. And I highly recommend it for those visiting Peru with children. We arrived in Machu Picchu Pueblo for our family trip to Machu Picchu. And we only had time to get a taste of the mountain town before catching the bus to the Machu Picchu ruins. We ate lunch at Sanctuary Lodge, which is the only place to eat at Machu Picchu. And then we began exploring the ruins. The ruins of Machu Picchu were everything that we had dreamed of. Many people fear that Machu Picchu with kids would be difficult, but there was so much to explore in Machu Picchu for kids. In fact, it was one of our boys’ favorite parts of our trip. 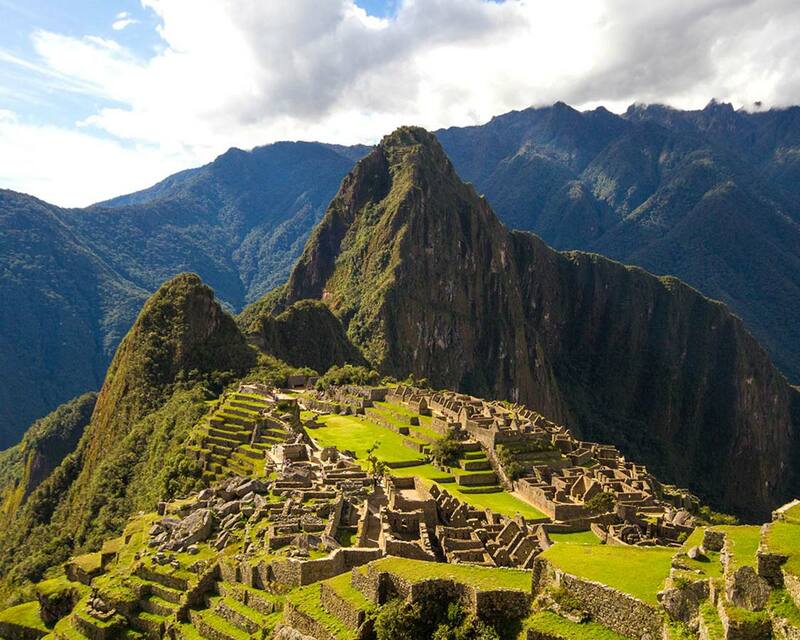 You can read more about why Machu Picchu is so important here. We were completely worn out from our time exploring Machu Picchu. We spent so long climbing through the Incan ruins that we were eventually asked to leave by the anxious rangers of Machu Picchu as we stayed past closing time! But when we arrived at our hotel, Inkaterra Machu Picchu Pueblo, all the exhaustion left. We even had time for a soak in the natural hot tub before dinner. But the boys didn’t make it through dinner. They were asleep before the first course arrived. You can read all about our experience at Inkaterra Machu Picchu Pueblo here. 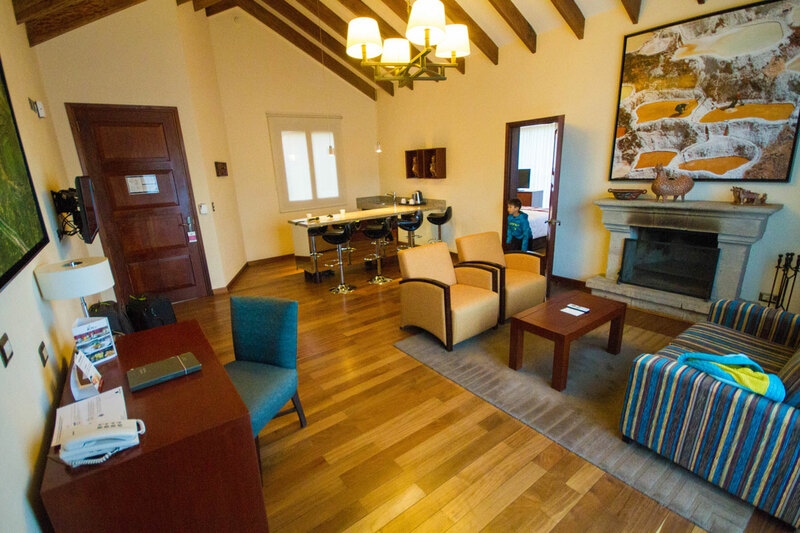 You can check prices and availability of the Inkaterra Machu Picchu here. 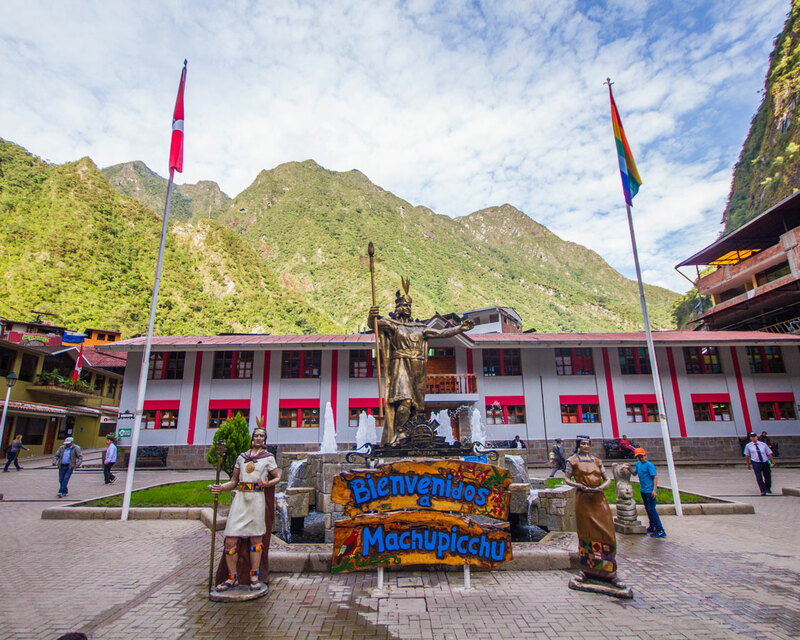 Our next day was largely filled with adventures at InkaTerra Machu Picchu Pueblo hotel. 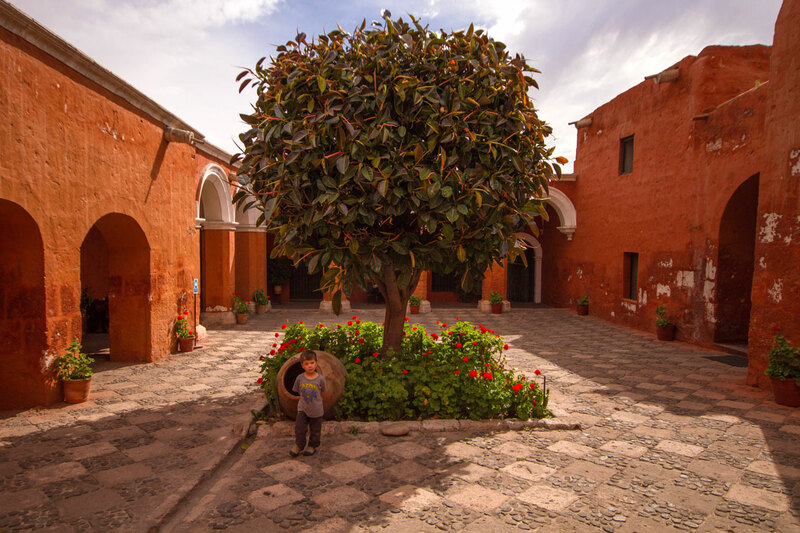 We learned that beyond simply being a beautiful hotel with cool rooms that have rocks sticking out of the walls, there are also a plethora of activities, largely focused on Peru family travel. InkaTerra Machu Picchu lives up to its name as a Peru Eco Resort. 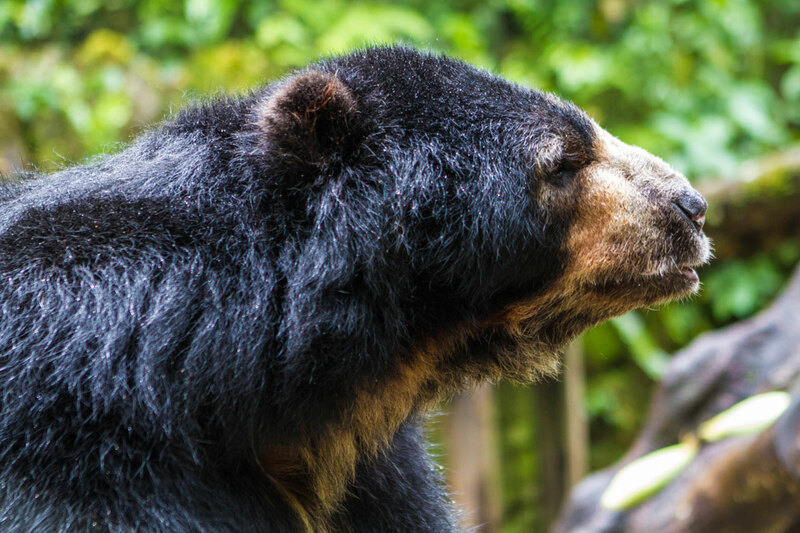 Part of their grounds is a dedicated sanctuary and reserve for the only bear that is native to South America, the Spectacled Bear. When we visited they had two rescued bears living there. They have had others, but those were released back to the wild after they had been rehabilitated. Unfortunately, the two that remain, both rescued from abusive owners, would never survive in the wild. Next, we wandered through the trails of the jungle surrounding Inkaterra to their in-house tea farm. Here we explored, picked, ground, dried and made our own tea bags all in the traditional way. It was AMAZING! Then we sat down with our cups and sipped tea, ate some treats and watched the hummingbirds fly around us. 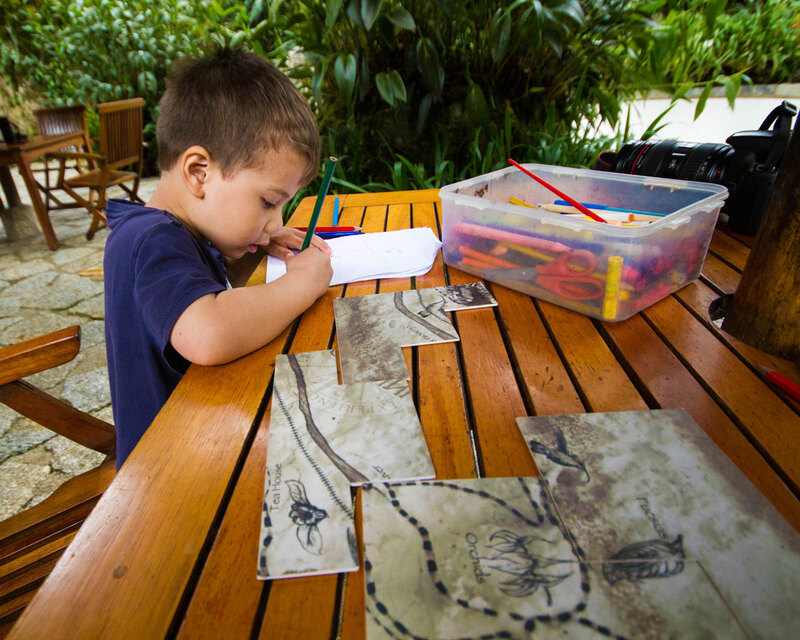 On a Peru for kids tour, the InkaTerra Machu Picchu stands as one of the best family-friendly hotels in Peru. 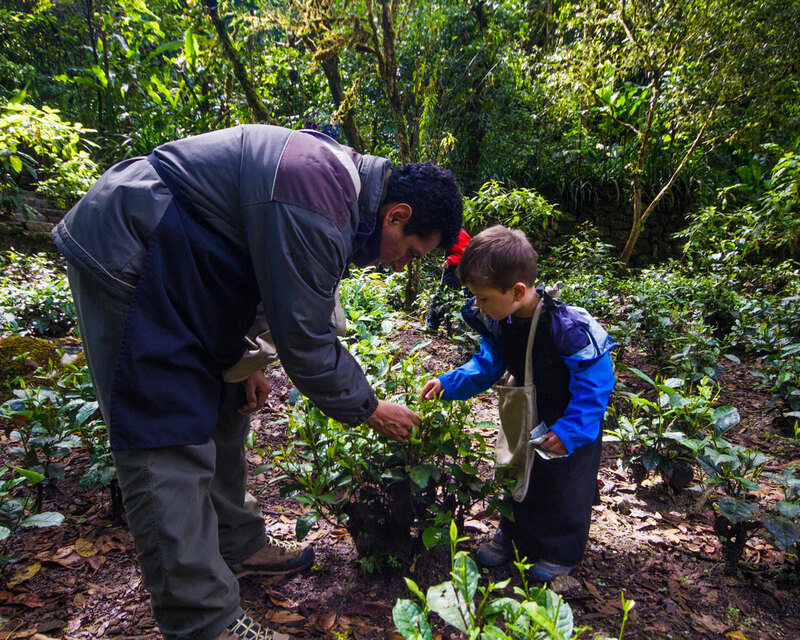 Our last adventure at InkaTerra Machu Picchu involved a treasure hunt that took us through the InkaTerra orchard garden, through the hummingbird sanctuary and into the gardens where we learned about local Peruvian horticulture and nature. And it included a surprise that the kids absolutely loved! 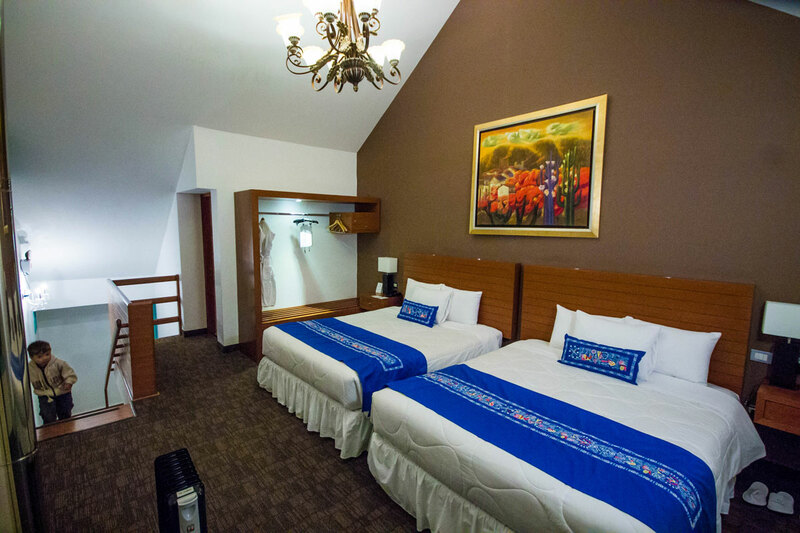 You can check the prices and availability of Inkaterra Machu Picchu Pueblo here. After our time exploring InkaTerra Machu Picchu, we had just enough time to roam the streets of Machu Picchu Pueblo before our Peru Rail train to Cusco. We discovered the town square, restaurants, church, market, and much more. The train came to a stop at Cusco station and we met up with our driver through the crowd. We were relieved to see him after a long day and he expertly navigated the streets of Cusco to our hotel in Cusco, the Ramada Costa del Sol Cusco. We loved the open grounds and comfortable beds and sat down for one of the room service meals we have ever eaten. You can check the prices and availability here. Our first morning in Cusco was calm. We enjoyed a relaxing breakfast before heading out to tour the Capital of the Inkas, Cusco, Peru. The first stop was Qorikancha (Coricancha), the former heart of the Incan empire. Although the buildings were almost completely destroyed during the 16th-century war with the Conquistadors, enough remained for rebuilding efforts to take place centuries later. Now the buildings stand as a museum of Incan history. We next walked to the central square of Plaza de Armas in Cusco. There was a high school band competition underway and the atmosphere was infectious. The boys were soon dancing in the street to the music while the local children cheered as their schools were announced. We took some time to explore the cathedrals and check out the local shops in the plaza. After lunch, we met our driver and made our way to the Incan ruins of Sacsayhuaman. These ruins are known for their incredible stonework and the detail which went into the city’s design. One of our favorite parts was exploring the caves used as sacrificial altars for Incan rituals. 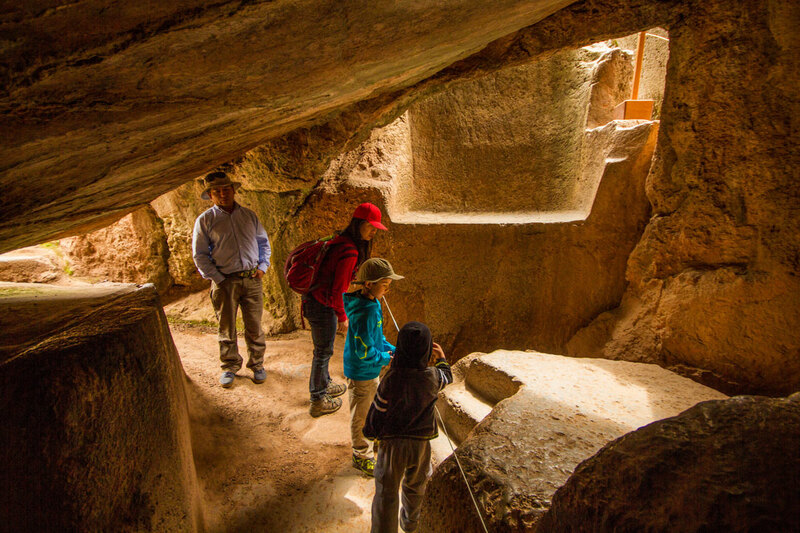 When we were researching what to do in Peru with kids, we learned that Sacsayhuaman also has natural stone slides. We made sure to check those out too! After touring the area around Cusco, we returned to our hotel and got ourselves ready for a night in Cusco, Peru. 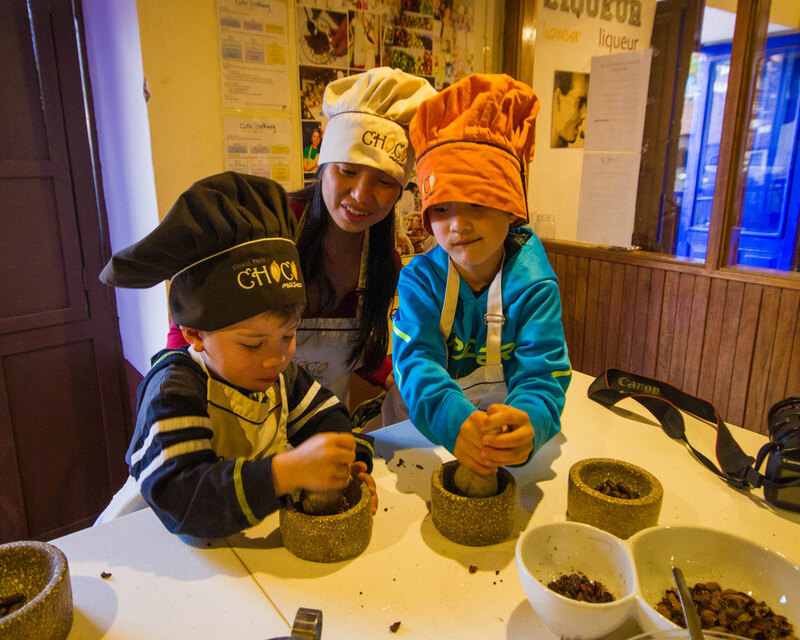 The first stop for our Cusco night out was the ChocoMuseo Cusco where we learned how to make Peruvian chocolate from the bean to the bar. Check out our whole ChocoMuseo experience here. As we waited for our chocolate to cool we made our way to one of the best places to eat in Cusco. 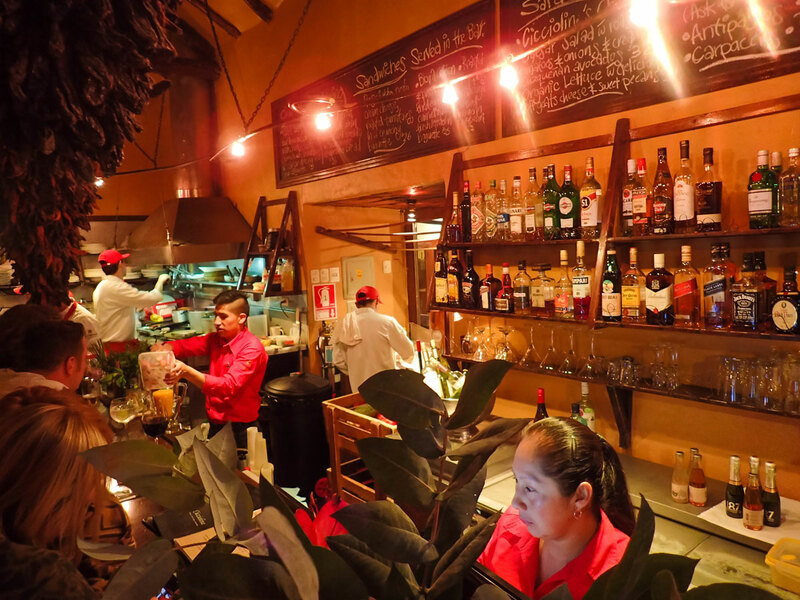 Cicciolina is a tapas bar located not far from the Historic district of Cusco. On our 8th day in Peru, we woke early and made our way to the InkaExpress bus station in Cusco. We would be taking the InkaExpress bus from Cusco to Puno on the shores of Lake Titicaca. But there was going to be so much to see on the 9-hour bus ride. You can read all the detail about our road trip to Puno here. Our first stop was in the town of Andahualilas. 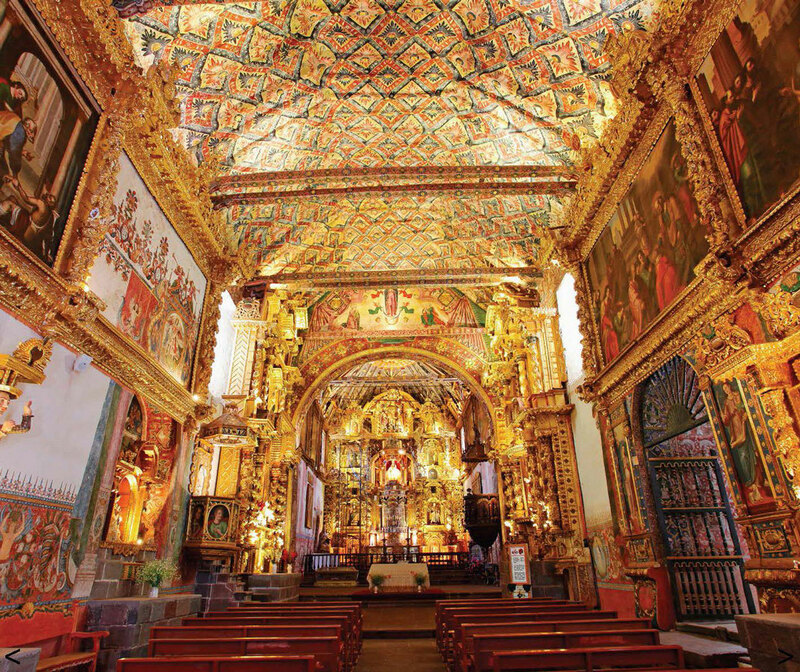 Andahualilas is home to Iglesia de San Pedro, also known as the Sistine Chapel of the Americas. 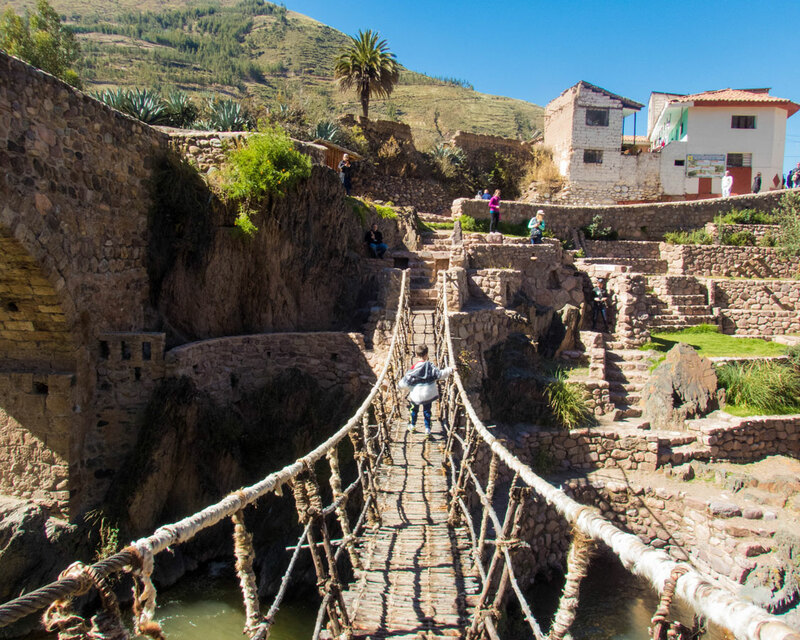 Next, we made our way to Checacupe, a small colonial town that maintains an authentic Incan suspension bridge. The boys bravely crossed the swinging bridge with no fear! 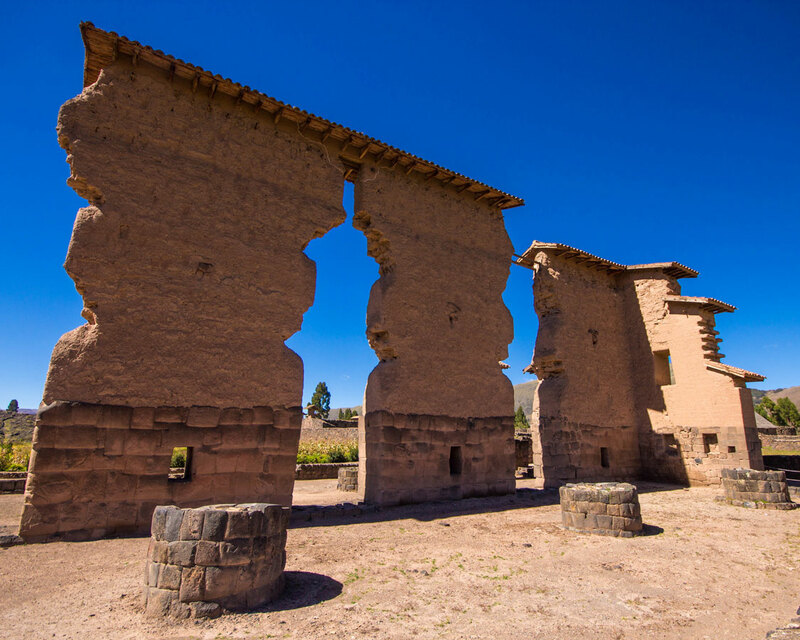 Our next stop was the Inca ruins of Raqchi. The boys raced around the complex finding pieces of pottery and taking photos of the incredible architecture. La Raya Pass is the highest point on the Cusco to Puno journey. At 4338 meters, the crisp air was refreshing, and the views of the Andes mountains were absolutely unforgettable. 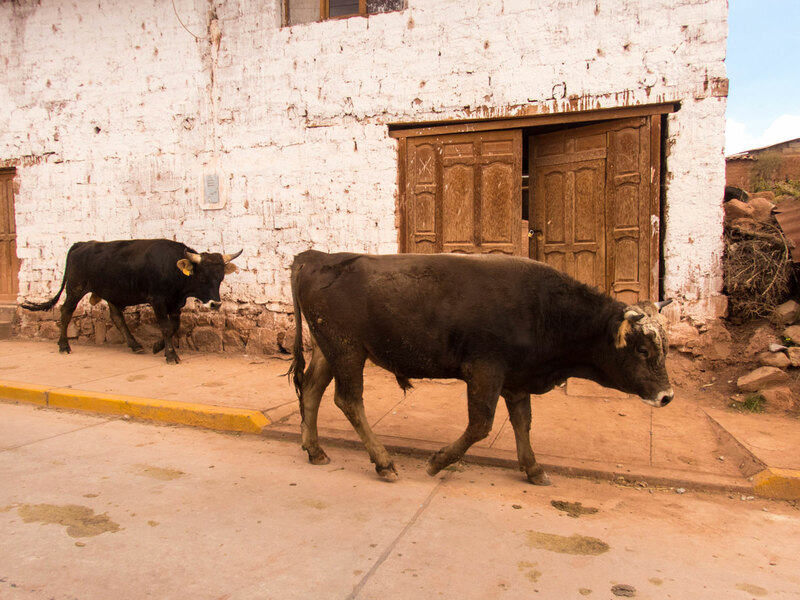 Pukara, Peru is famous as the birthplace of the tiny bull statues that adorn many of the houses in rural Peru. 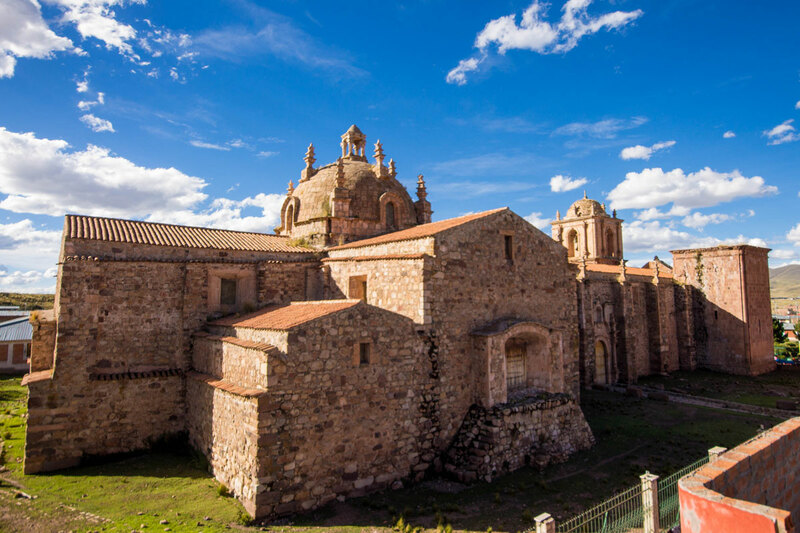 It also houses a museum of pre-Incan artifacts and the beautifully adorned Church of Pukara. When we arrived in Puno, we were picked up by Kuoda Travel at the bus station and driven to our hotel, the Libertador Lago Titicaca. The hotel was beautiful with amazing food. It also has its own marina, which makes a trip out on Lake Titicaca very easy. Check their prices and availability here. After some down time, we headed into downtown Puno for some food. We chose a popular spot among Puno locals, Mojsa Bar. 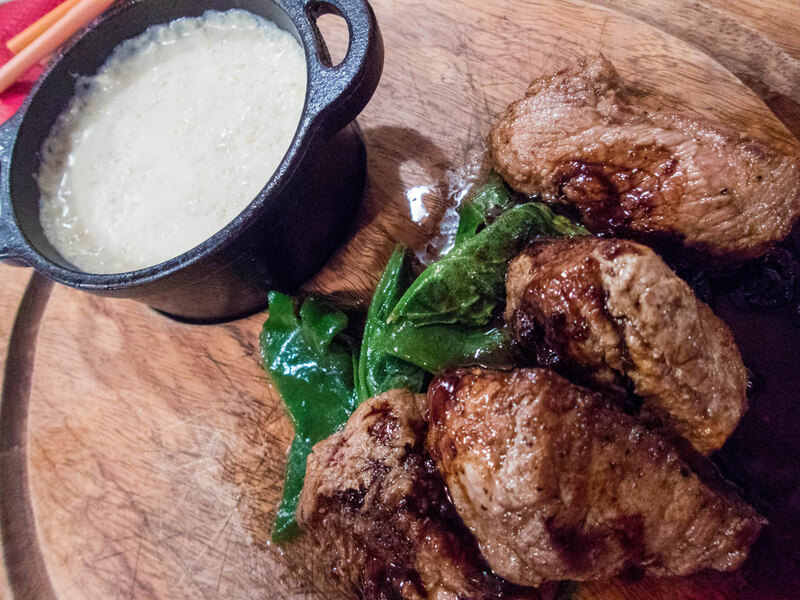 We dined on Alpaca steaks before enjoying delicious local deserts. The next morning I woke early to take in the sunrise over Lake Titicaca. Christina and the boys woke later and we met for a great breakfast at the Libertador Puno. Refreshed, we made our way to the marina. Here our Taquileano boat crew brought us out for a day cruise in Lake Titicaca. 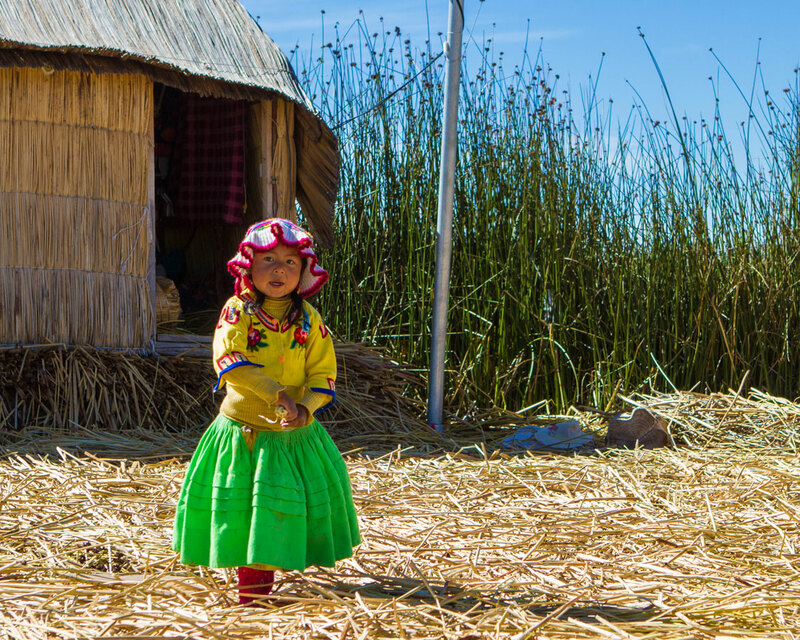 Our first stop on Lake Titicaca was the floating Uros islands. These reed islands on Lake Titicaca were amazing. We met the local families who called them home and learned how they were built. And we also learned what life was like for the Uros people. There were many children, and our boys spent much of the time running and playing with the local children. From floating islands, we headed to what looked like a more typical island on Lake Titicaca, Isla Taquile. But the view from the waters belied the amazing and unique culture of the local Taquileanos. Like the Uros people, they have developed their own unique society. We had lunch with gorgeous views. And then explored the island while the boys played marbles with the local children. 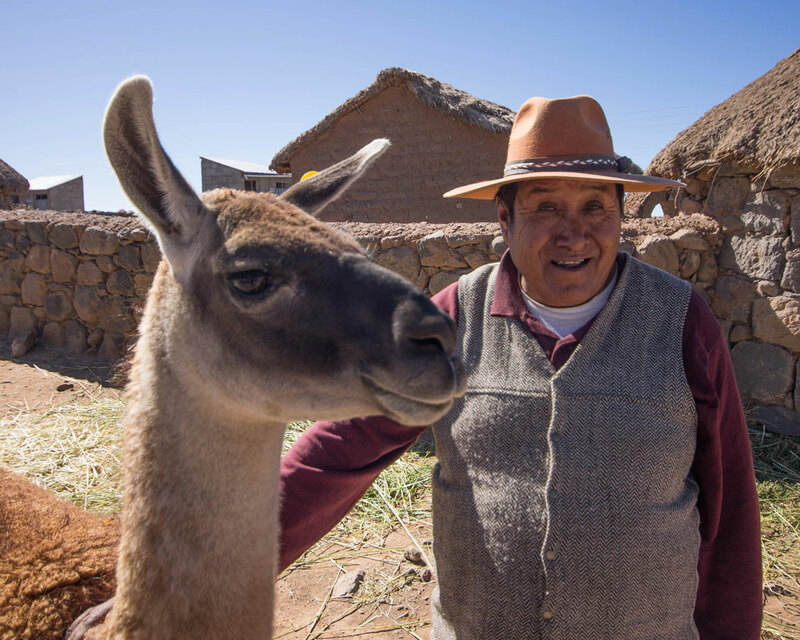 Read about all the fun we got up to on Lake Titicaca here. The next morning we woke early and prepared for another epic drive. 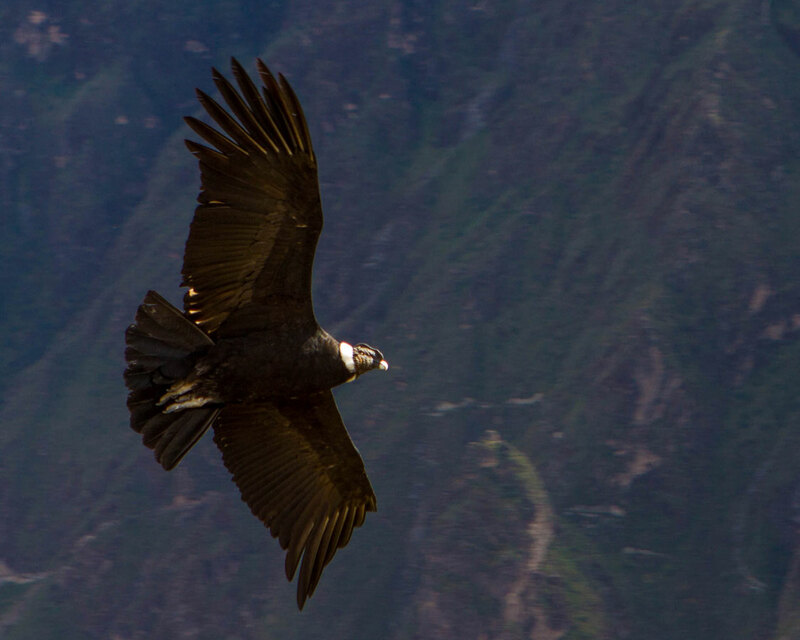 We would be leaving Puno and the shores of Lake Titicaca for a road trip from Puno to Chivay where we would have a chance to see the incredible Andean Condors in Colca Canyon. But there is a lot to see between these two cities! You can check out all the details about our drive to Colca Canyon and what we saw on our road trip to Colca Canyon here. Our first stop on the way to Chivay, Peru was the town of Sillustani. 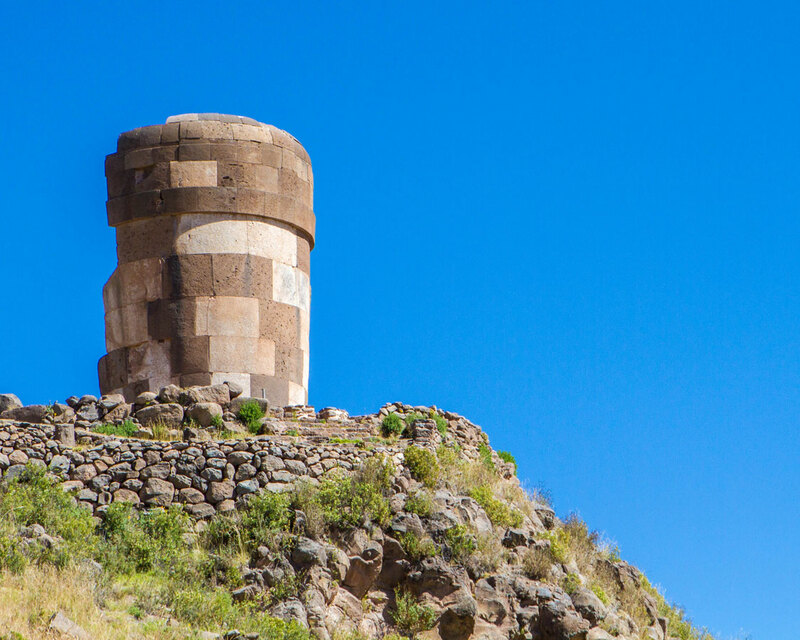 Here we explored the Chullpas, ancient, pre-Incan stone funeral towers. An island off the shores is also home to one of the countries Vicuna sanctuaries. Next, we stopped a small Quechua village where we met a local man who invited us into his home. He showed us how local artwork is made and created a potato and clay remedy to help C’s ailing stomach. As we passed through the high Andes, we were dazzled by the views of the lakes and blue skies. At one point our driver pointed out a flock of Chilean flamingos that often make a home in the mountains. So we pulled over to look. This put us right in the middle of a cow pasture! 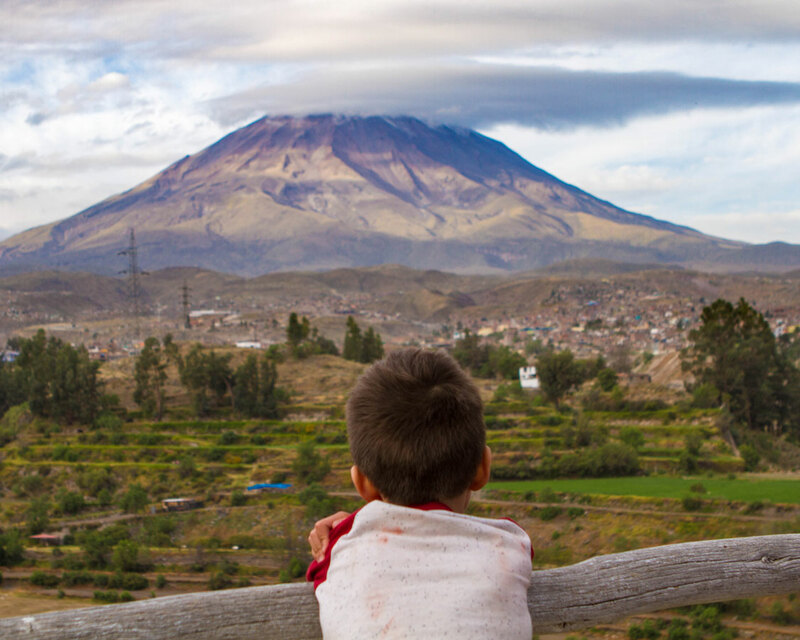 It was moments like that that made us realize how great travel to Peru with family really was. Our final stop on our road trip to Colca Canyon was Patapampa Pass. 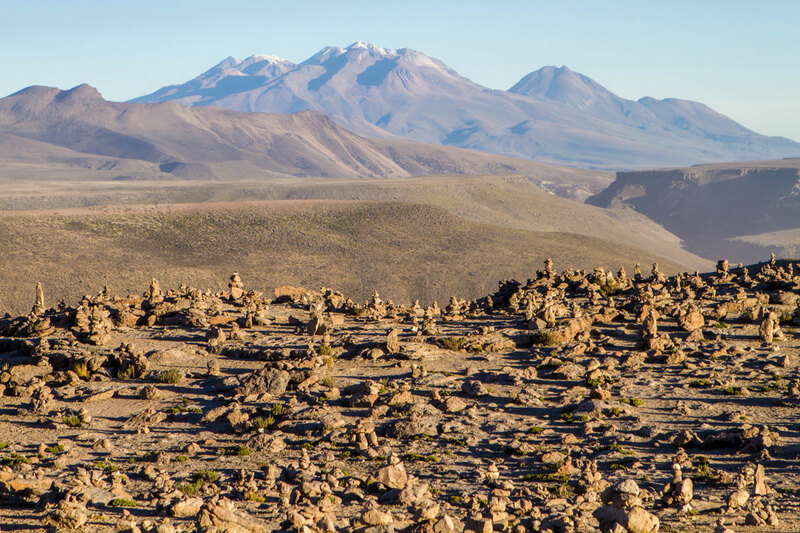 At 4,910 meters above sea level, Patapampa pass is the highest navigable pass in the Americas. And one of the highest places in Peru comes with a view. There are no less than 7 volcanoes visible from the pass! These long road trips were becoming one of the greatest ways to tour Peru. It was late when we arrived at our hotel, the Hotel Aranwa Pueblito Encantado Del Colca. We loved the village style layout of the hotel. And our room had a wood burning fireplace that did a great job of taking the edge off of the cool night. Find out their prices and availability here. We woke the next morning to discover that one of the nearby volcanoes had erupted. The site of the ash pouring into the sky was amazing! What a perfect experience to get our day exploring Colca Canyon started. We made our way along the edge of Colca Canyon stopping frequently to take in the amazing views. Agricultural terraces are everywhere in Peru. Most have been in place since before the time of the Inca. And they are still in use today. We finally made it to the Peru Condor Sanctuary. And what a show they put on! C counted at least 100 condors. However, he never stopped to check if he was counting the same ones twice. But nevertheless, it was unbelievable watching these huge birds cruise. 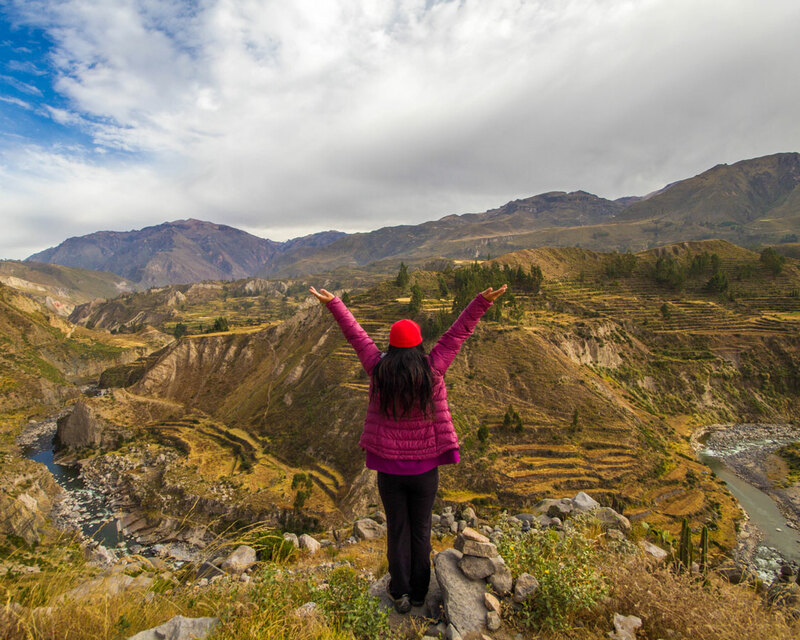 If you can make it to Colca Canyon for a Peru family vacation, it will be something you won’t forget. At times the birds were meters above our heads. As the day wore one, the condors became less and less frequent. So we began our drive from Chivay to Arequipa. 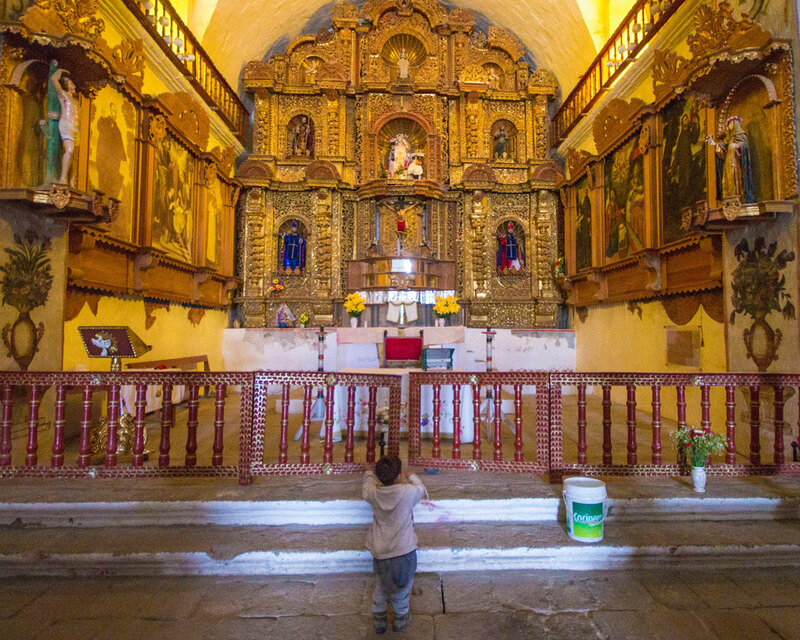 On the way, we stopped to explore the market and church in the quaint town of Sibayo, Peru. An earthquake almost completely destroyed the church but it has since been rebuilt. We finally made it to the city of Arequipa. 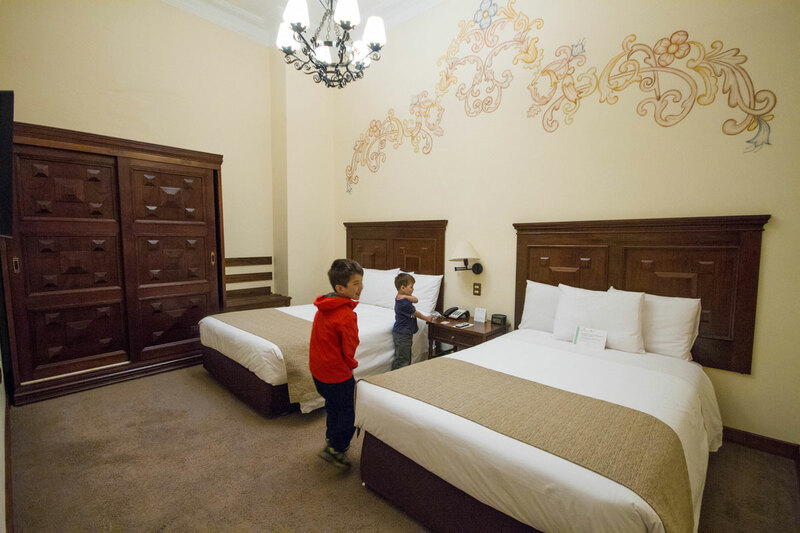 We checked into our hotel, the Hotel Libertador Arequipa. The hotel was regal. The foyer was one of the most elegant we came across during our travel in Peru. 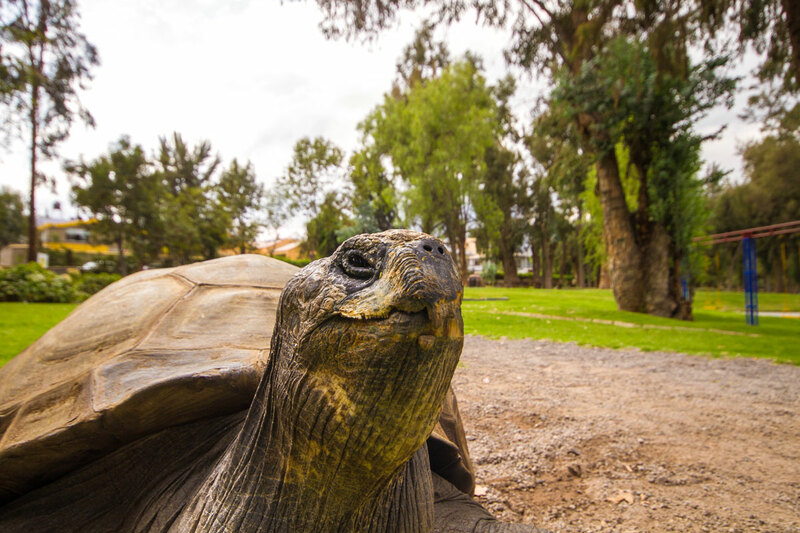 However, the boys weren’t quite sure what to make of the house Galapagos tortoise that was roaming the grounds. Discover their prices and availability here. Our hotel was walking distance from the main square, so we had time to explore before our dinner reservation. We wandered the square and some of the markets. Our dinner that night was at Zig Zag. 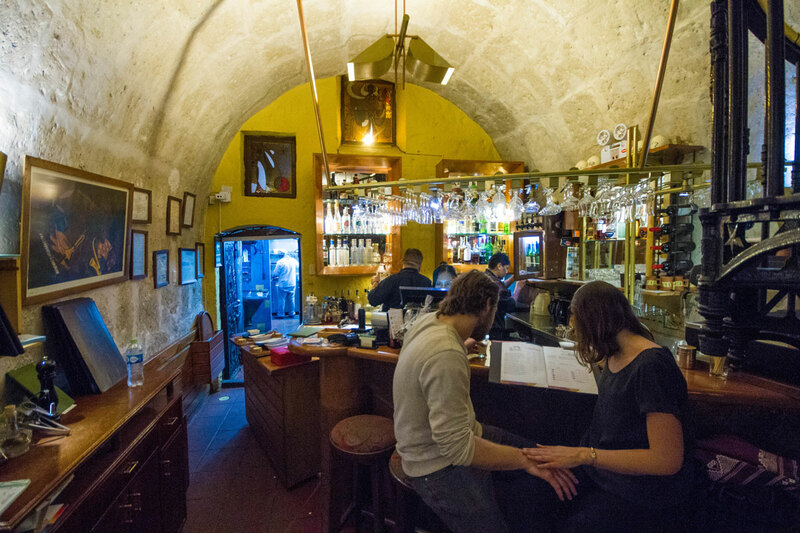 A fun and laidback restaurant with a beautiful atmosphere. They also had incredible kids meals that the boys could not get enough of. It was one of the best meals during our two weeks in Peru. The next morning we woke and had a great poolside breakfast at the Libertador Arequipa. After we cleaned up we met our city guide for a walking tour of Arequipa, Peru with children. Our first stop was the Santa Catalina Monastery. This incomparable colonial district is a small city within a city. It dates back to 1580 and for much of its history it was a closed convent accessible only by women. Next, we visited one of the most unique museums in Peru. The Museum of Andean Sanctuaries is where the remains of the ice princess, also known as the Ice Maiden, or Juanita, are housed. These remains are the best-preserved remains of an Incan human sacrifice and were found high up in the Andes mountains. Our time in Peru was almost at an end. We met the van for our drive out to the airport. But along the way, we stopped in the Arequipa suburb of Yanahuara. Here we had incredible views of the El Misti volcano rising into the air over the city. This would be our last view in Peru for this trip. And it was a beautiful one. As we arrived at the airport and said a warm goodbye to our driver and guide, we were already missing the country. Peru family travel was incredible. The people were warm and friendly. The views were stunning at every point. And the food was beyond belief! And visiting Peru with kids wasn’t nearly as difficult as we had been led to believe. 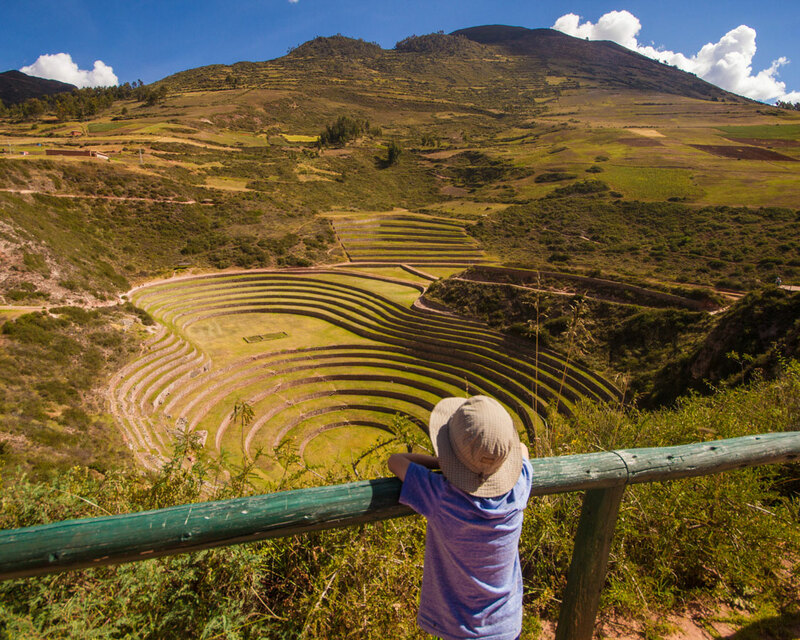 In fact, our two weeks in Peru with kids stands out as one of our top family adventures. 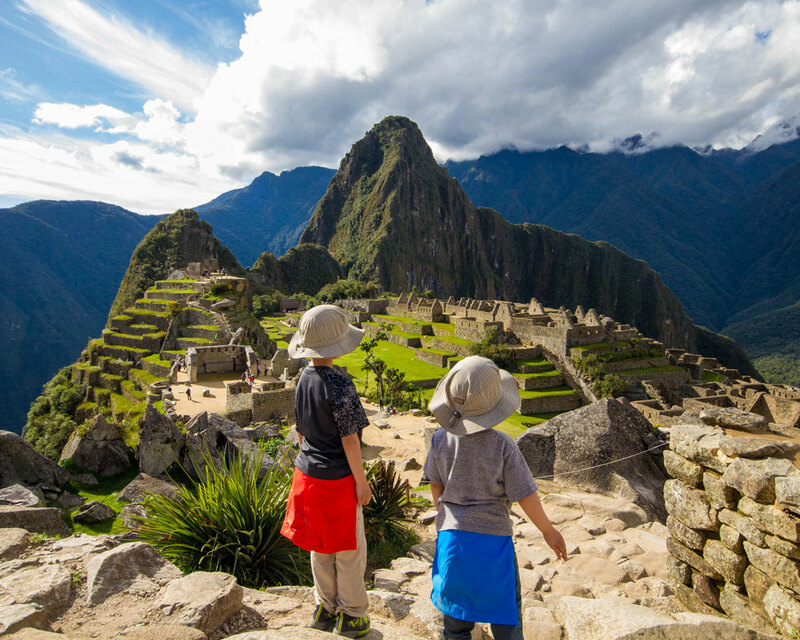 Have you dreamed of travel to Machu Picchu with kids? How about another Peru family adventure? What are some of the things holding you back? This looks like an incredible 2 week itinerary. Looks like the tour company was the way to go. I love all the ruins and ancient sites! Too bad you couldn’t take photos in the monastery and catacombs I bet they would have been awesome. Gosh – so much choice! I love the photos of the wildlife and the local people. The little child looks so happy and the lines etched on the old man’s face could tell a thousand stories. I never imagined the variety of landscapes in Peru – from the desert to mountain ranges, to the blue ocean! Love the photography and how it highlights the beauty of the culture. That’s such a detailed and comprehensive itinerary for two weeks in Peru. And so much variety including nature, heritage, culture and food…all wonderful ingredients for a complete trip. I especially love the heritage buildings ad cathedrals..reminds me of Spain and Portugal. You got six volcanoes in one shot! 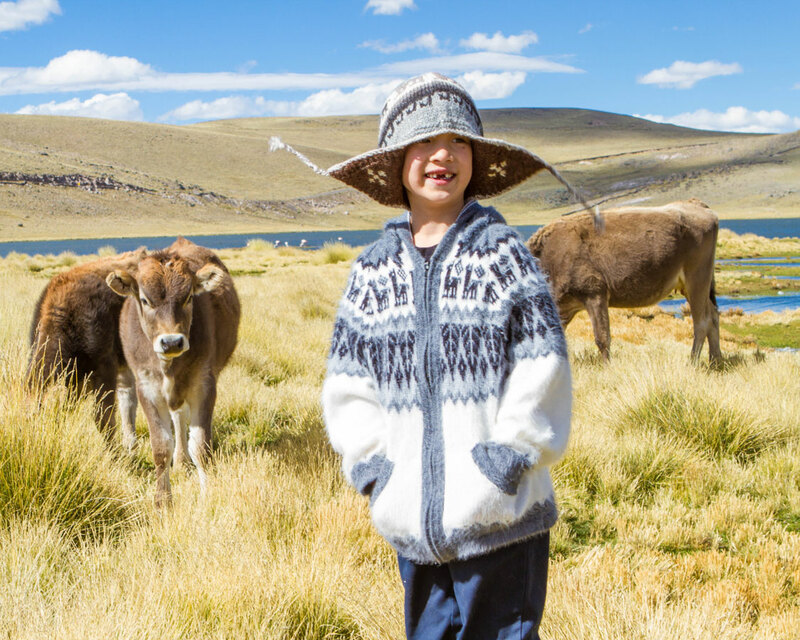 This is such a brilliant, comprehensive guide to visiting Peru with kids. I can’t wait to visit! Ollantaytambo, Cusco, Santa Catalina Monastery, the Ice Maiden and so much more. We loved Peru. You really covered a lot of ground and with two kids! Well done. Thanks 🙂 We have to hand it to our kids for being so awesome. Wow! This is a very comprehensive itinerary! 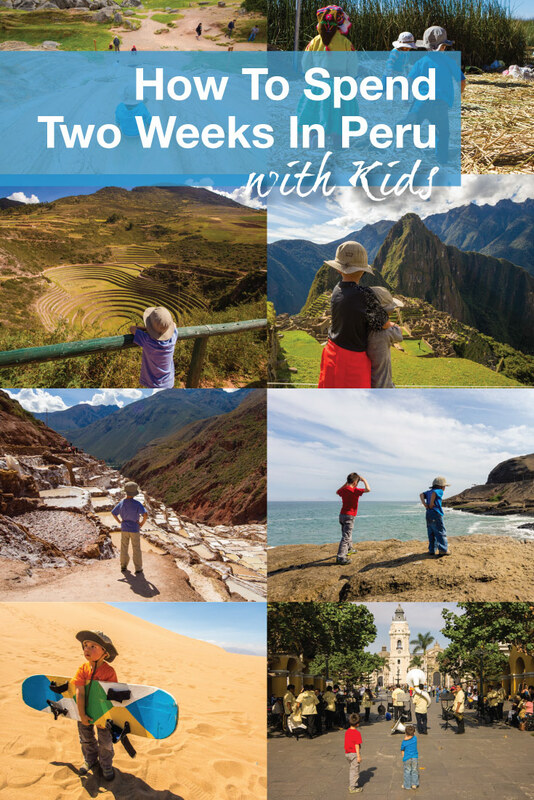 How fun that you could spend two whole weeks exploring Peru and doing so many fun things…the monastery, beaches, boating, making candy, visiting the ruins — so amazing and a great varied schedule for the kids! This is one of the most informative posts I have come across about Peru. We don’t have children but I didn’t know that there is SO much to do in Peru. Most posts focus on the Inca Trail or Machu Pichu, not really talking so comprehensively about all other wonderful places there are to see! This is a great guide for two weeks, with or without children, and thanks for sharing, this will be very useful for when we plan our trip next year! I’m so happy to hear that this will help you on your upcoming trip. Have an amazing time, Peru is unforgettable! My first trip to Peru was with my parents and younger sister, though we were a little older than your boys. But the memories of this country, with its warm people and beautiful historic sites, and lovely cities, stuck with me so strongly, it remains one of my favourite childhood trips. I love the variety of more recent history against the more ancient places, and then the modern cities as well. We didn’t visit Paracas on our trip, and your photos are making me want to go there, a well as the Huacachina sand dunes. Likewise, we missed the Maras Salt Pans which I’d very much love to see. Also really appreciate your accommodation reviews, very helpful. I’m so glad it brought back such great memories. Peru is truly a magical place. And the people are as beautiful as the landscapes. Incredible guide you’ve written here. Peru is very high on my personal wish list; I’d love to visit one day with my family! This is such a comprehensive guide! Peru has been on my list, mostly to do Machu Picchu. I had no idea there was so many more things to do and see, and so many more amazing Inca ruins! Can’t wait to go! The country is literally filled to the brim with ruins. For those who do the Inca Trail hike, they pass through some that are completely undisturbed. This looks amazing! I can’t wait to go with my kids sometime soon, they are probably the same age as yours! I love that you did some pottery and tea making, I definitely need to remember that! That’s quite an itinerary! I wonder what the kids said. I bet they were exhausted. Some of your stories and photos brought back memories from my travels to Peru, I especially enjoyed reflecting on the Colca Canyon and Arequipa. How did you find your guides for each city? Drivers? Do you have a list of the ones you used? We had three guides throughout our Peru trip and they were all fantastic. For our days in Huacachina and Lima we used Lima Discover (http://limadiscover.com/), for the rest of the trip we worked with Kuoda Travel (https://www.kuodatravel.com/). Everyone was incredibly knowledgeable and wonderful with the kids. Our guide in Machu Picchu, Cusco, and the Sacred Valley was Edward. I have misplaced the name of our guide in Colca and Arequipa, although he was a real treasure. I’ll try to track it down and update this if I find it. Hello – thank you so much for this wonderful itinerary! We are traveling with Kuoda travel this June (2019), with 2 daughters, ages 8 and 11. Do you think we should include/skip the Amazon? Arequipa? Colca Canyon? How about flying over the Nazca lines – do you think the kids would enjoy that? We are trying to fit too much in during 2 weeks. Thanks so much for your advice, and happy new year! Have a wonderful time in Peru Hema! I would never tell you to skip something, only you can make the decision on that. But I can tell you that we were really interested in doing the Amazon and Nazca lines but canceled on them for a couple of reasons. We felt that we didn’t have time to do the Amazon portion of Peru justice. And we were so excited to include Colca and Arequipa that we just couldn’t make it work. The Nazca lines are something we have always wanted to see. However, it is not recommended for younger children due to frequent air sickness that can occur due to the up and down motion the planes take in order to make the lines visible to those in the plane. We plan on returning in a couple of years to make up for the parts that we missed. We are going to Peru in April and looking at choosing a tour operator. Did you book your own hotels and domestic flights or did you get your tour operator to do everything? 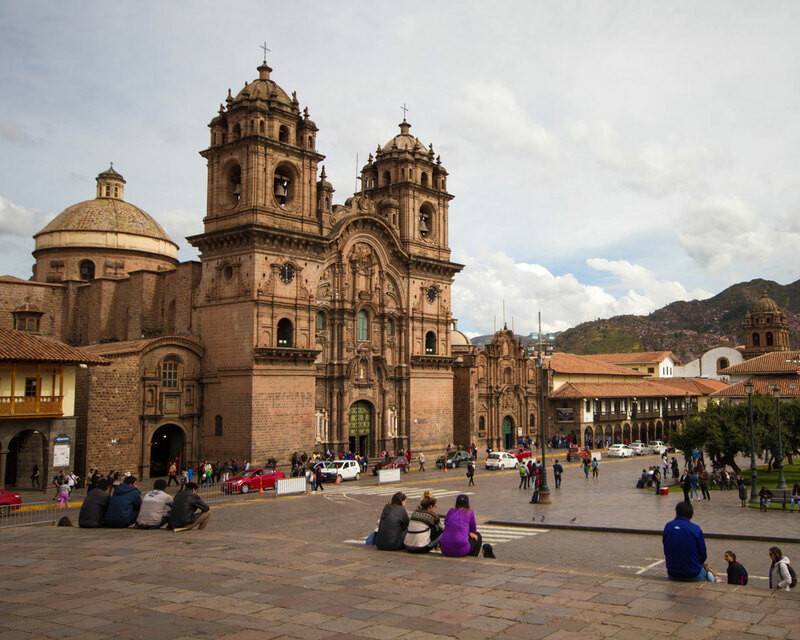 Which airline did you fly from Lima to Cusco? How exciting Stephanie! We traveled Peru with Kuoda Travel. They booked all our hotels (I discussed with them hotel options and they let me know my choices with prices and then I picked which worked best for our family). I booked all of our domestic flights. I used LATAM airlines. Happy travels! We usually travel with rolling luggage. I find that it stacks easier. Although to be fair, I carry a backpack that is solely dedicated to our camera gear and blogging equipment (laptop, cameras, drone, batteries, gimbal, etc) which makes hauling a second backpack myself inconvenient. Peru had quite a mix of environments from hot to cold, so we wanted to make sure that we were prepared for all of the environments we would be in. I find that, since we often leave our gear in the hotel, it makes sense to use the luggage. That said, Peru isn’t known to be particular “wheel” friendly. So, if you are will be bringing your gear around with you, backpacks might make more sense. I really enjoyed reading your post. I could see the place with your family. We are planning a trip to Peru in July and I will be using most of your itinerary because it caters families. It is so well written and the pictures are beautiful. 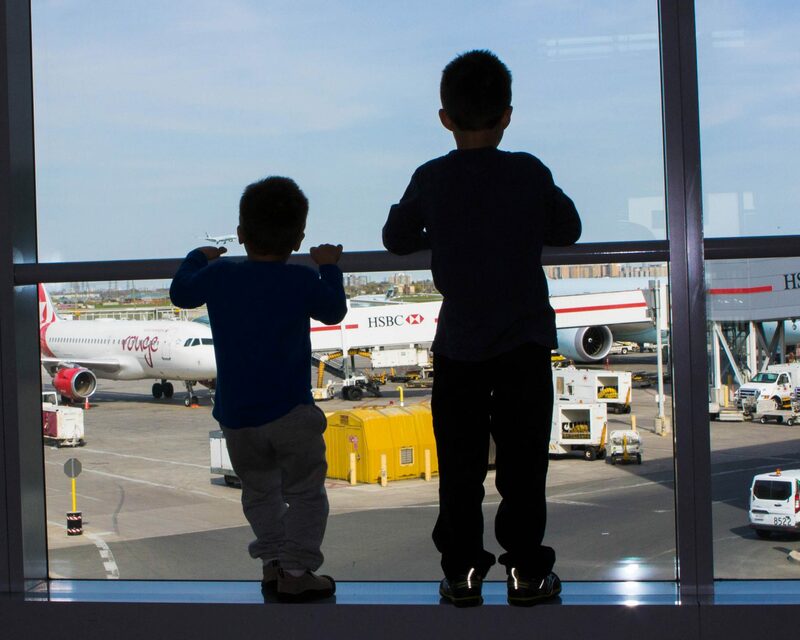 We will be travelling with 5 and 8 yr old kids. I love reading the details, but could you write up a summary sheet day wise along with travel times and means of transportation to help me navigate? Which month/dates you traveled? How much roughly you spent for the trip? Thank you so much for inspiring many of us to explore Peru. Hi Kevin, thanks for sharing your experience. We are planning a trip to Peru with our 2 kids (slightly younger than yours, 2 and 4) for August and are definitely using much of your itinerary for inspiration. One question: how did you travel from Puno to Arequipa? Was it a private driver? How did you find them? Also, you mentioned some travel agencies above (Kuoda) for finding hotels and guides. Would you recommend them? I’d usually shy away from “luxury” services but I guess it worked well for you. What exactly did they provide and how much extra did it cost? Thanks! Wonderful to hear that you are making the trip to Peru with kids! I hope you come back and tell us all about it. Our Puno to Arequipa tour was done via private charter that was organized by Kuoda Travel. Because of our website and the extra time and flexibility that we require for things like photos, research, and “hey, can you stop over there?”‘s, this tends to be something that we use often. There are busses and tours that make the trip between the two cities (similar to our Cusco to Puno bus trip). Kuoda Travel was excellent. I can’t say enough about the service, flexibility, and friendly guides that they provided along the way. If you are considering using a travel service while in Peru, I wouldn’t think twice about using them. 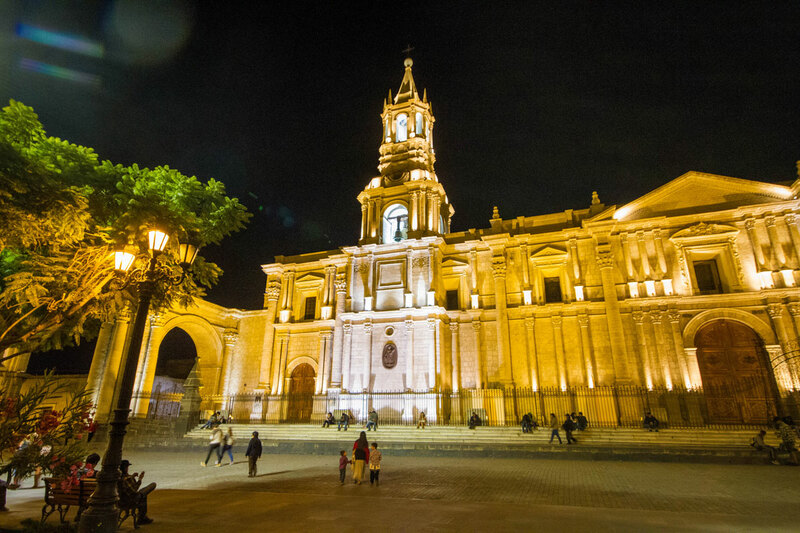 It may not be ideal if you are looking to travel to Peru on a budget. But they are able to handle the logistics on some of the more complex routes like our Puno-Colca-Arequipa route. Each place or landscape is a sample of Peru’s rich cultural heritage. 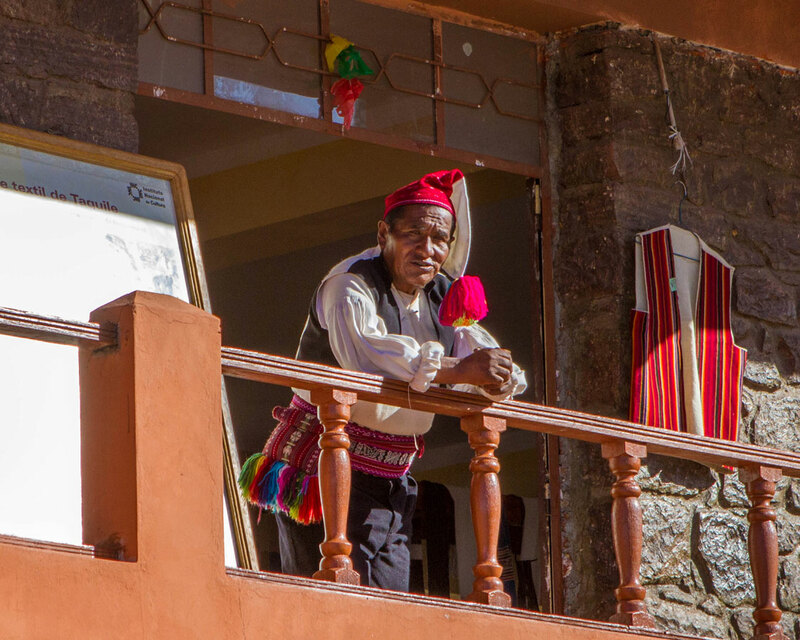 Peru is definitely a quilt of culture, nature, and beauty.